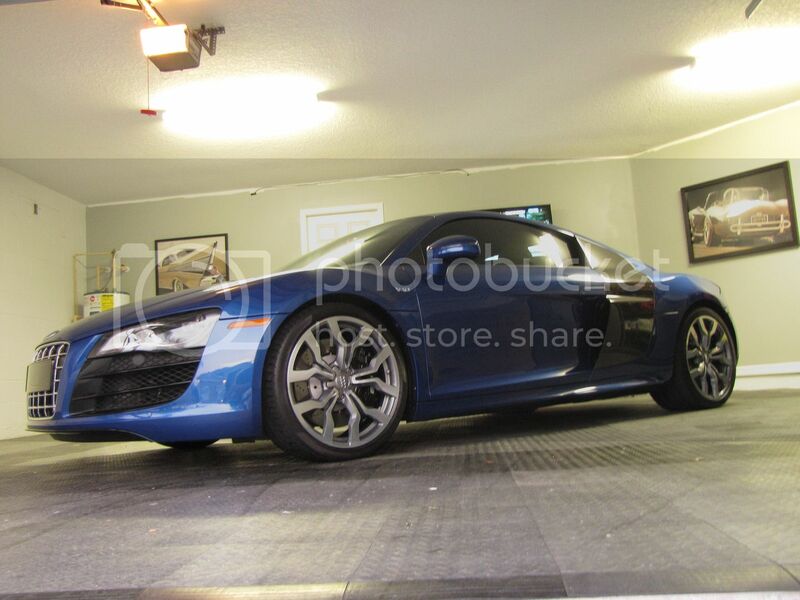 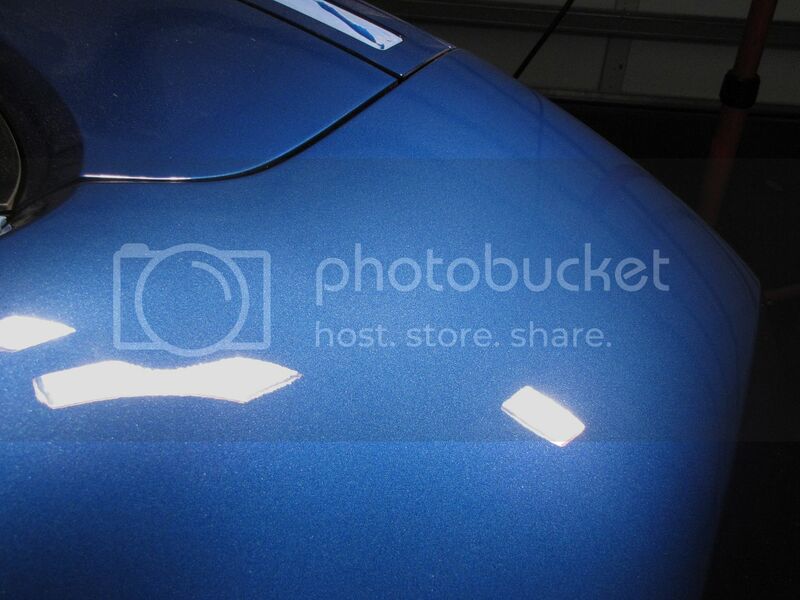 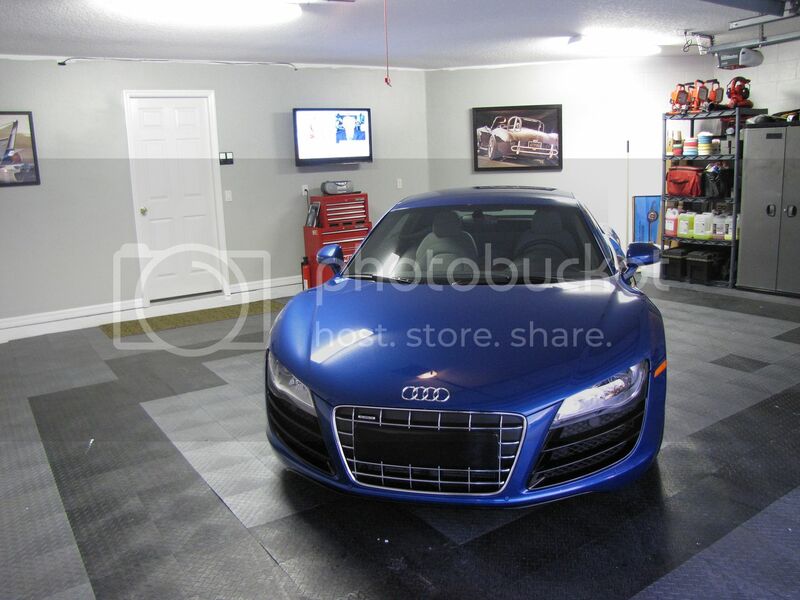 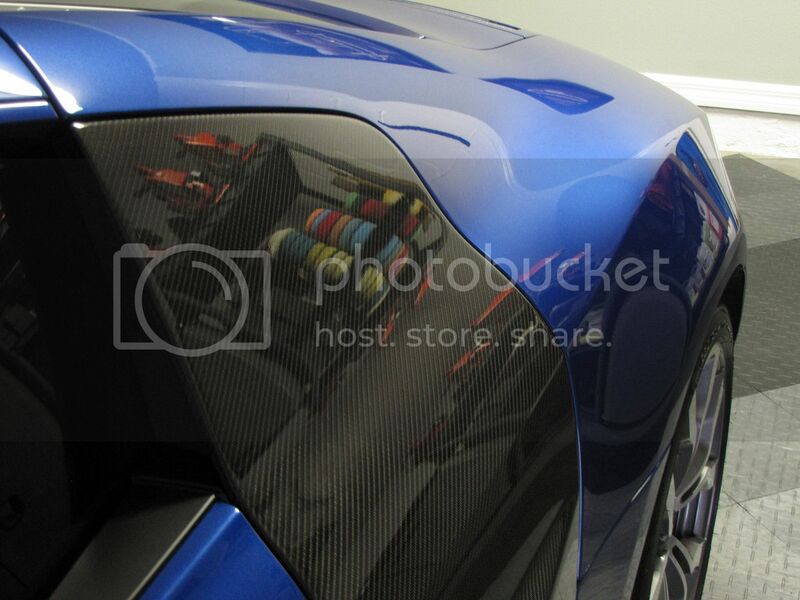 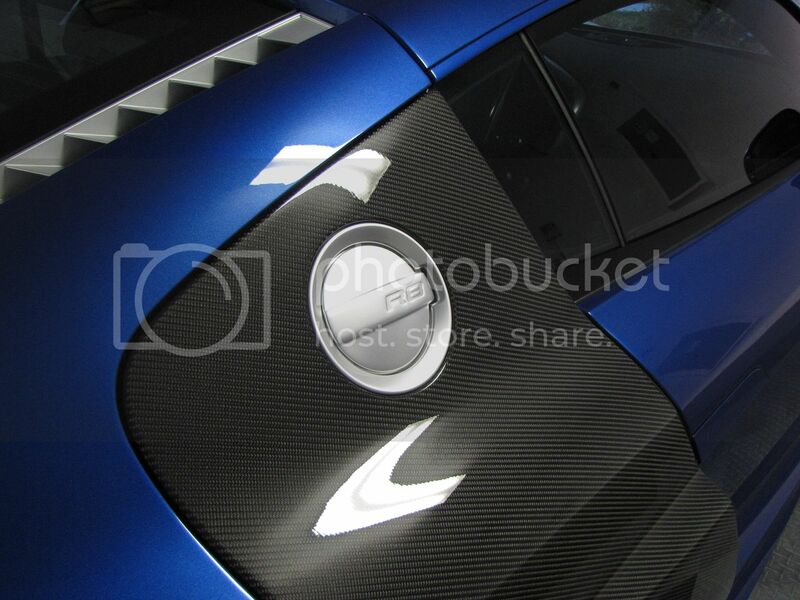 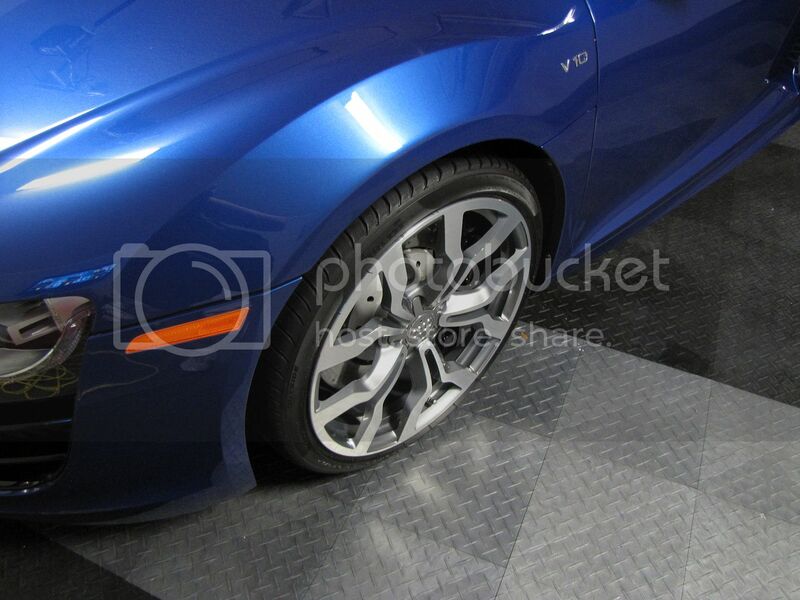 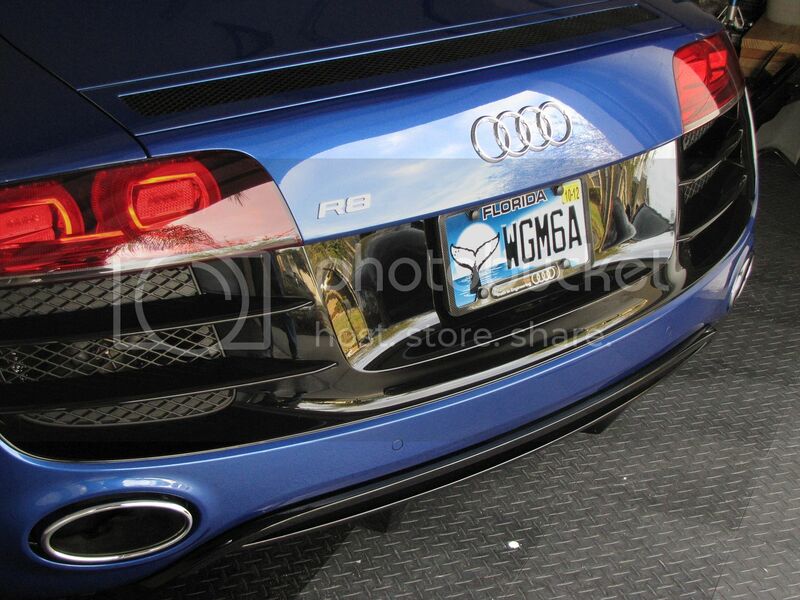 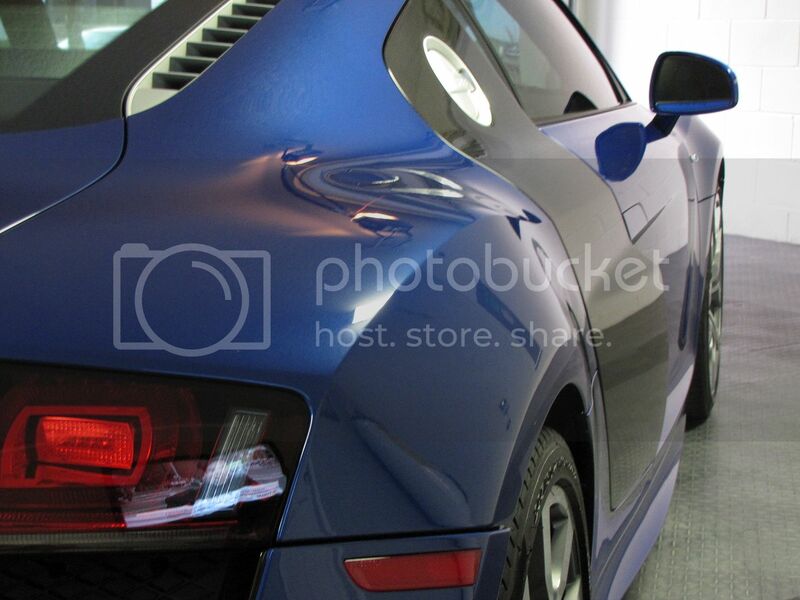 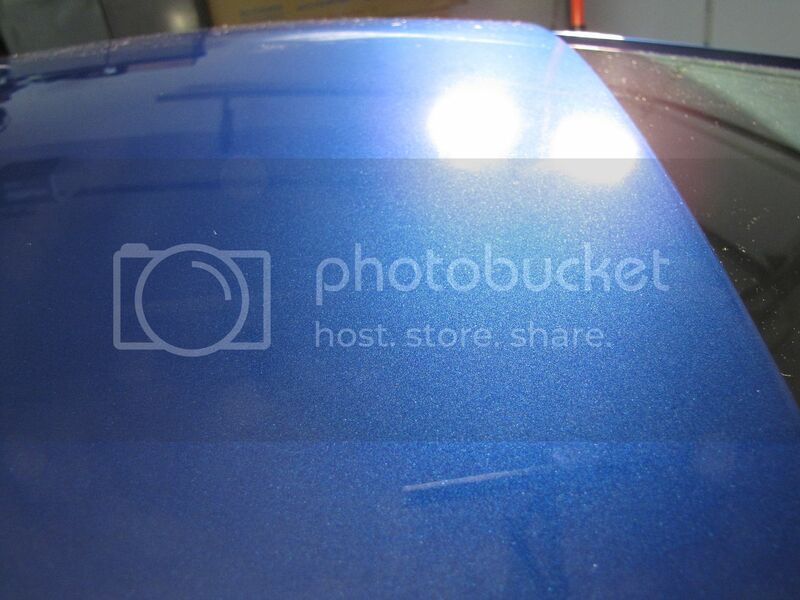 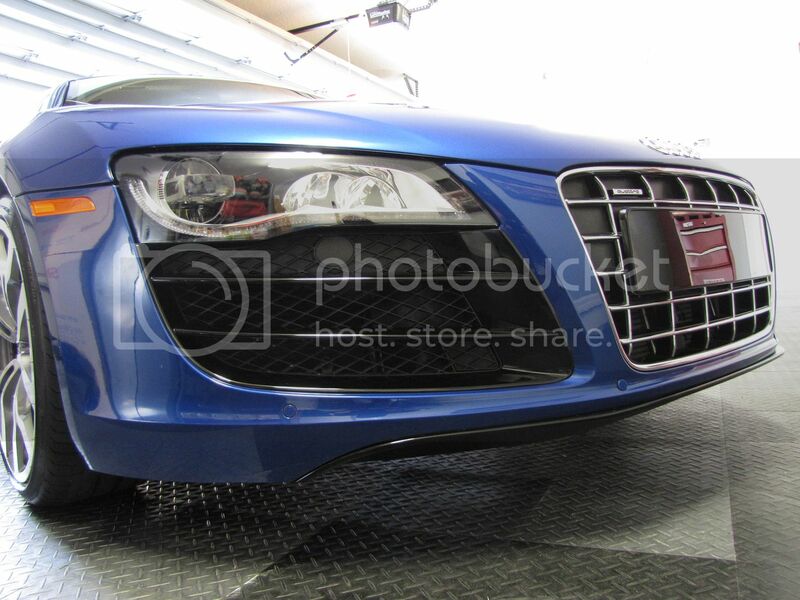 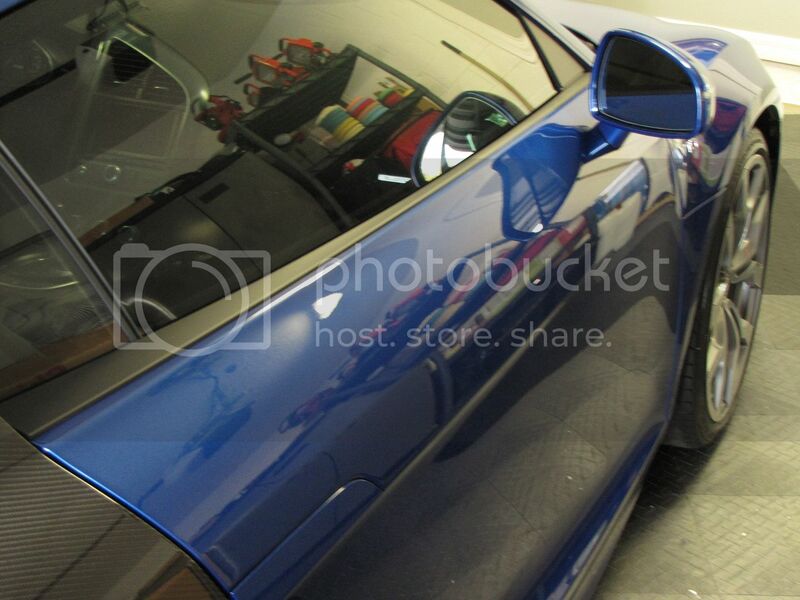 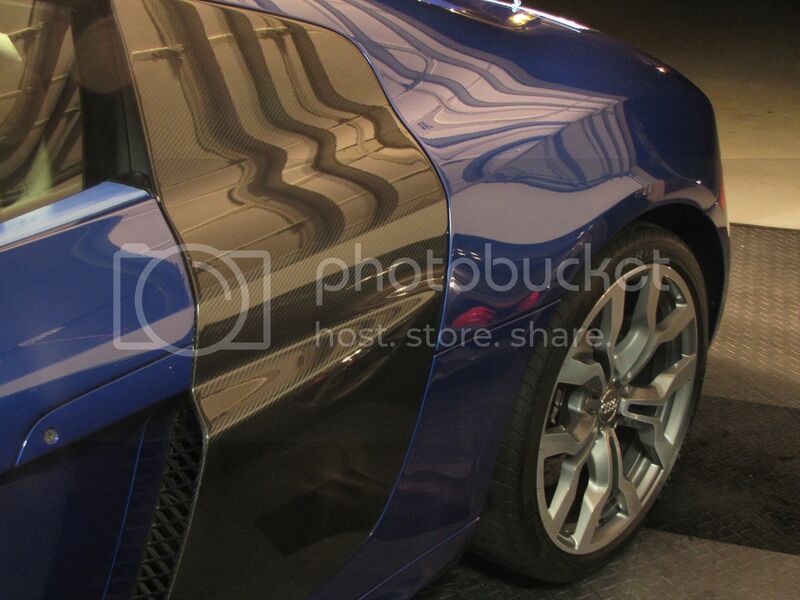 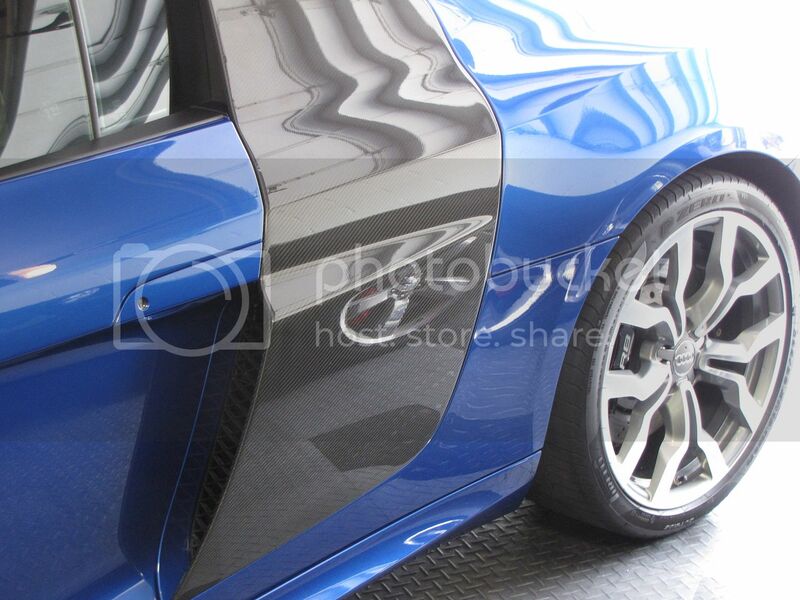 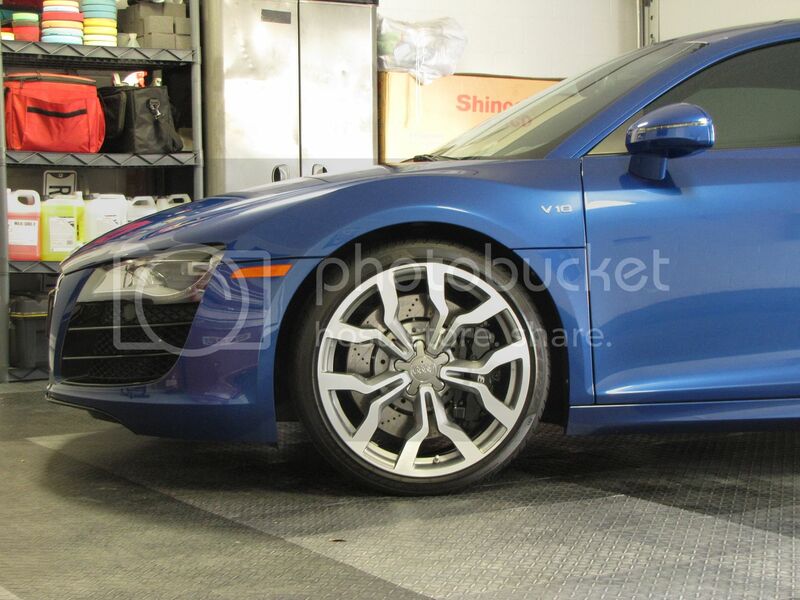 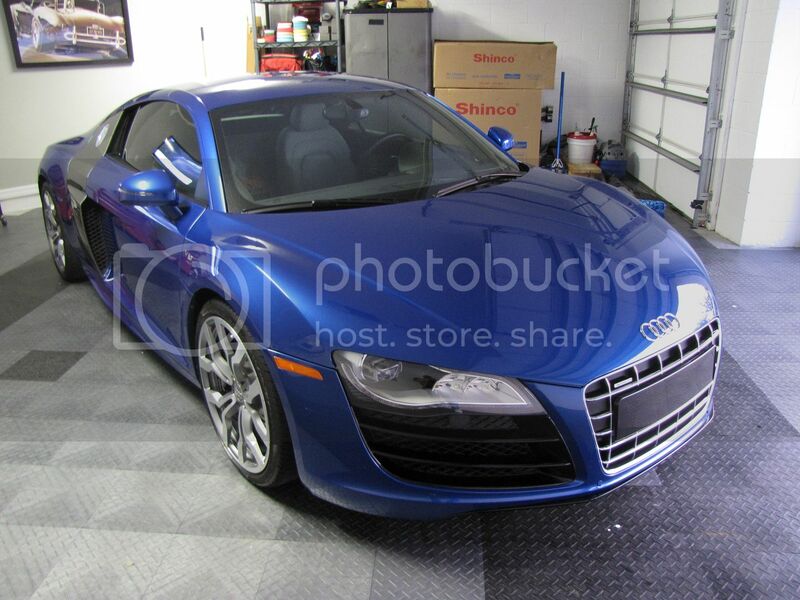 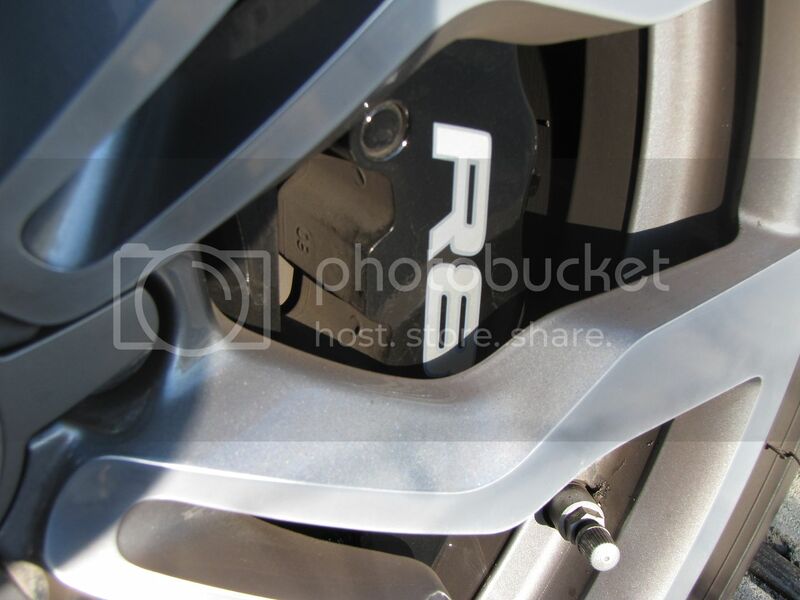 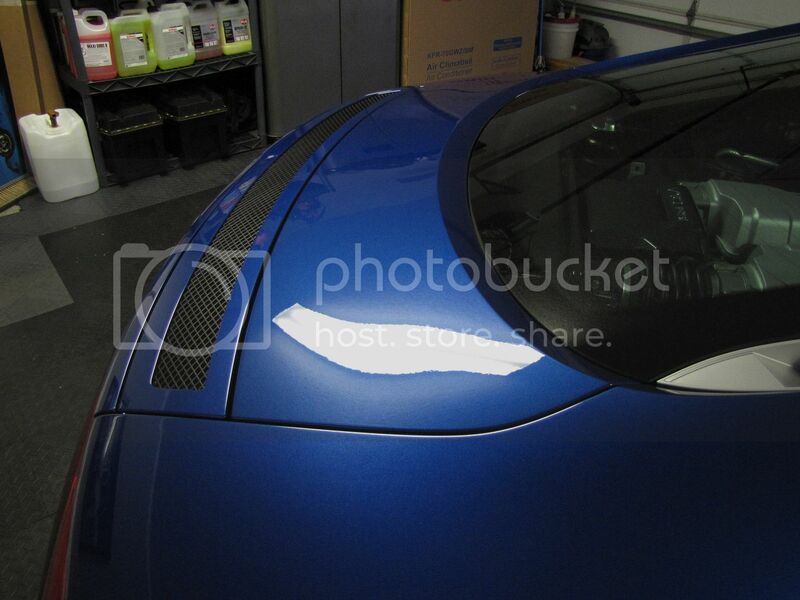 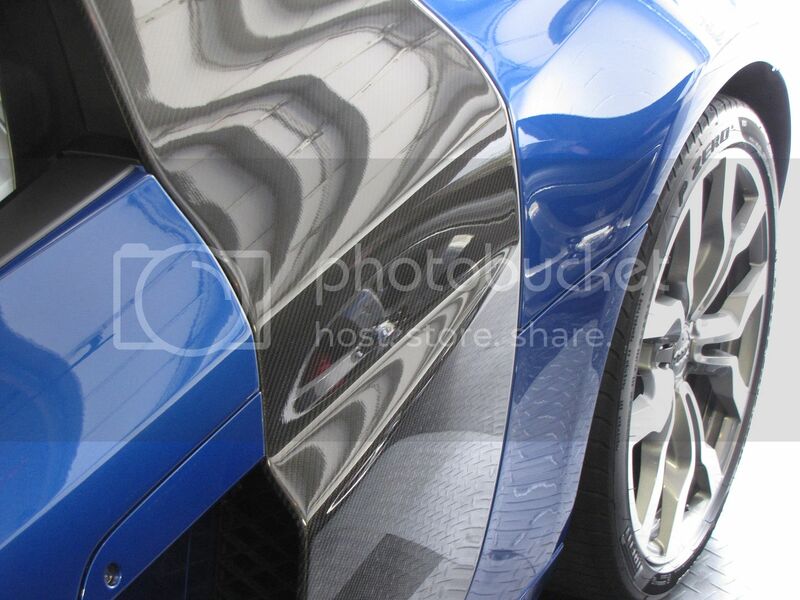 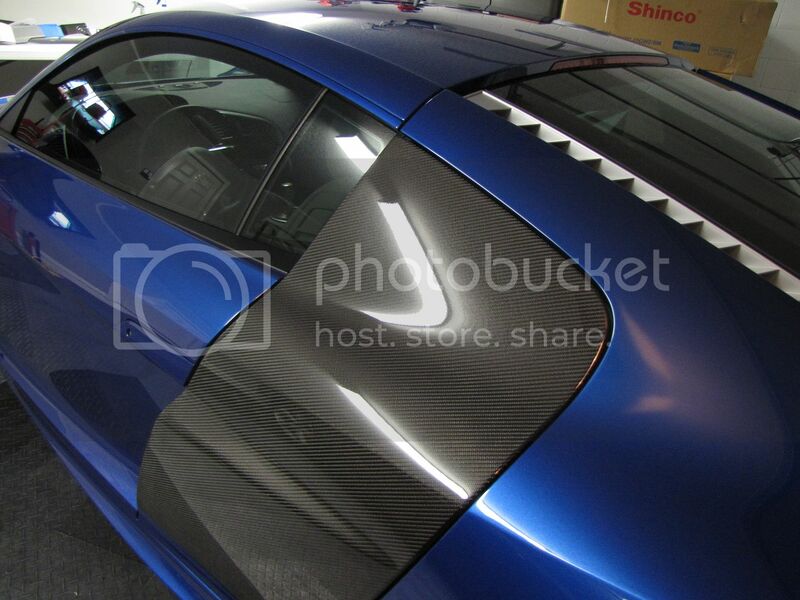 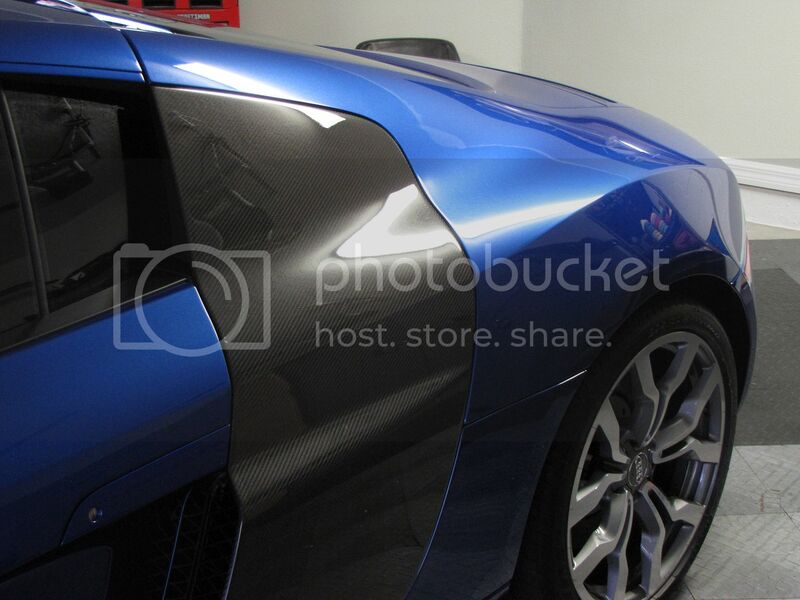 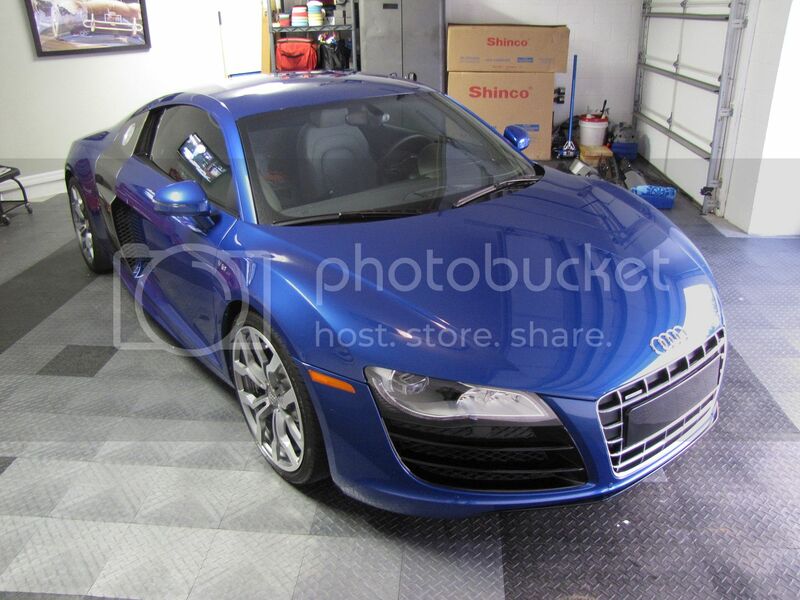 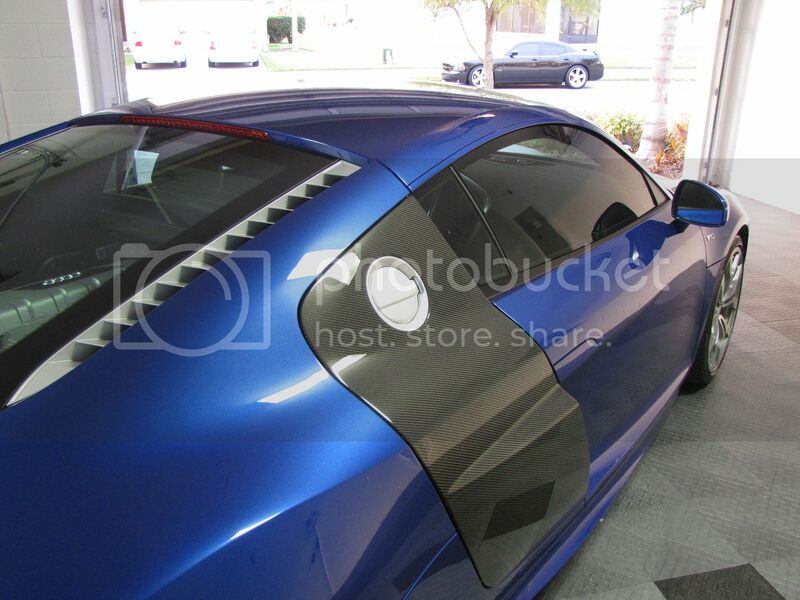 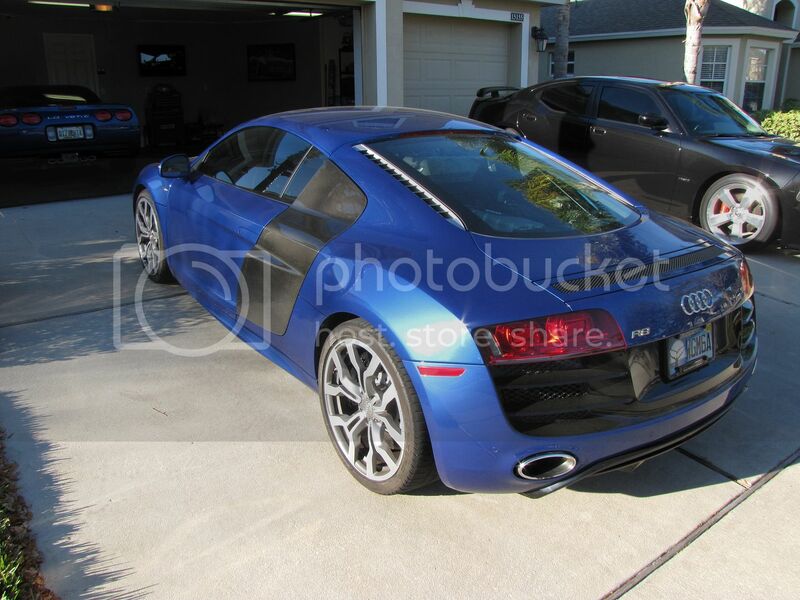 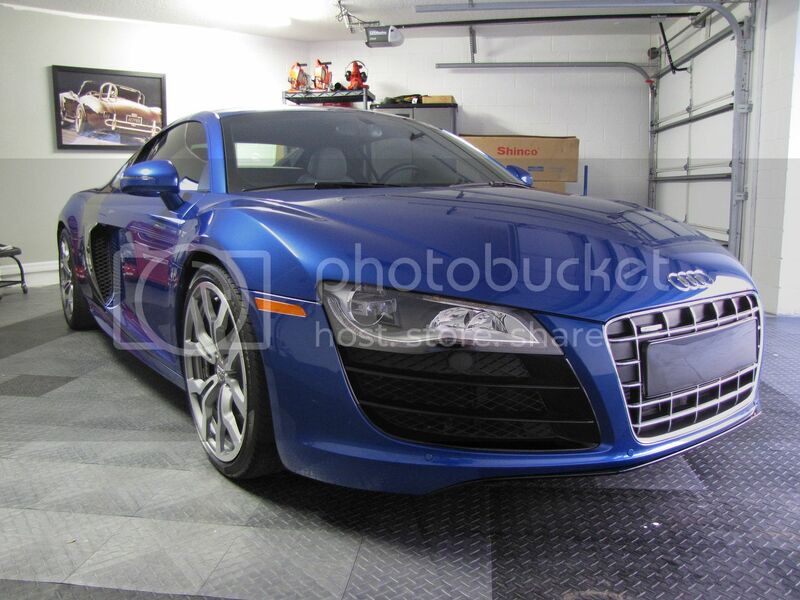 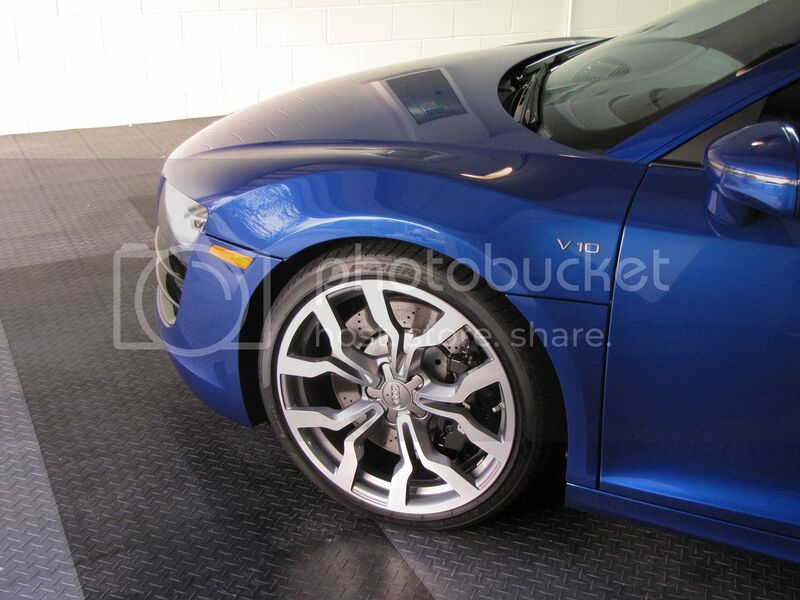 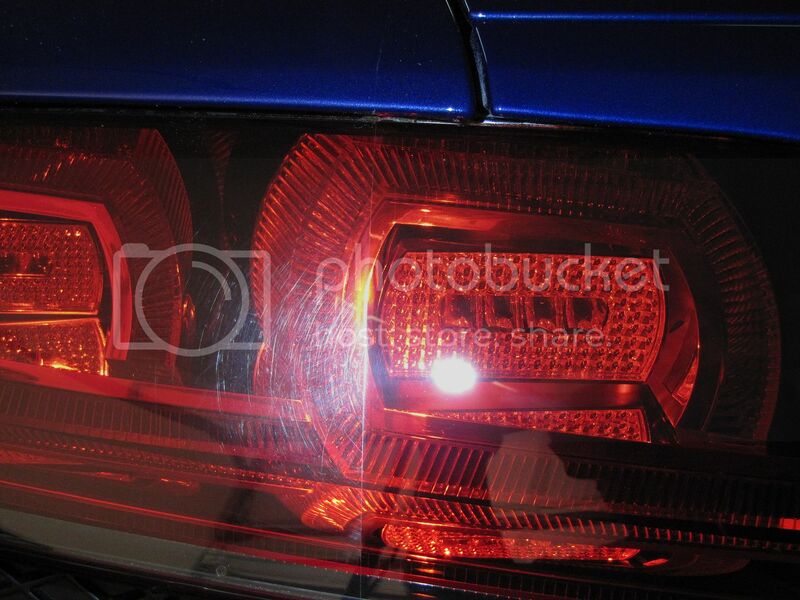 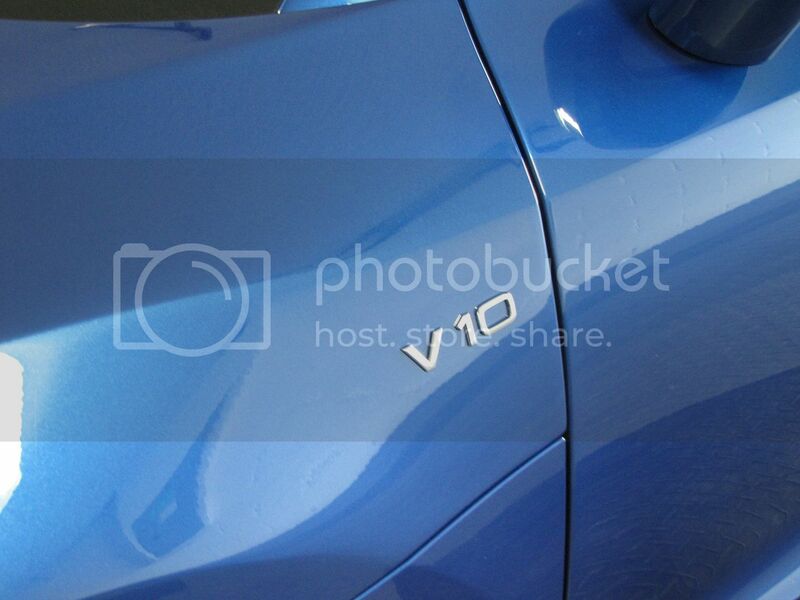 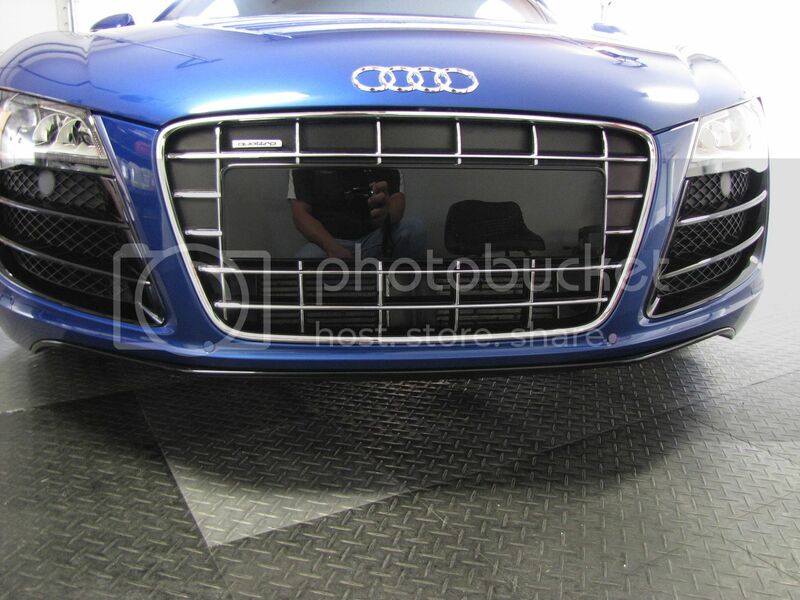 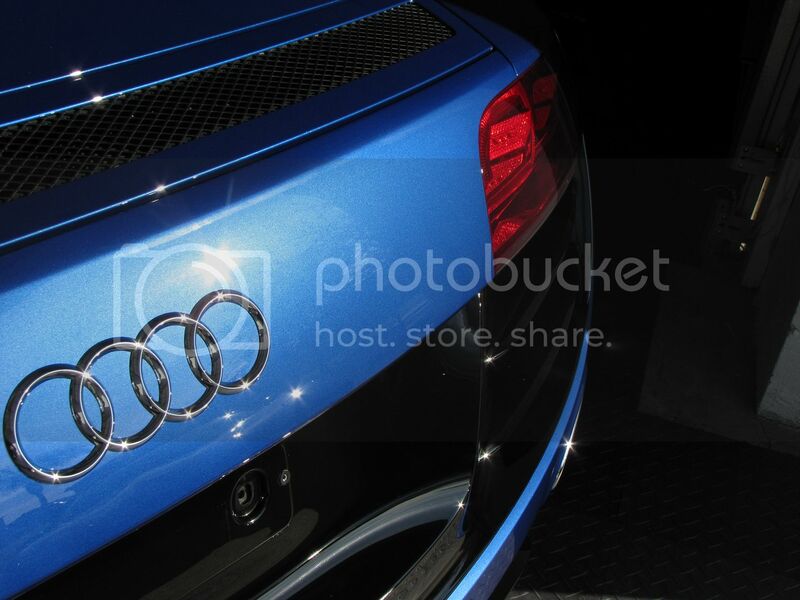 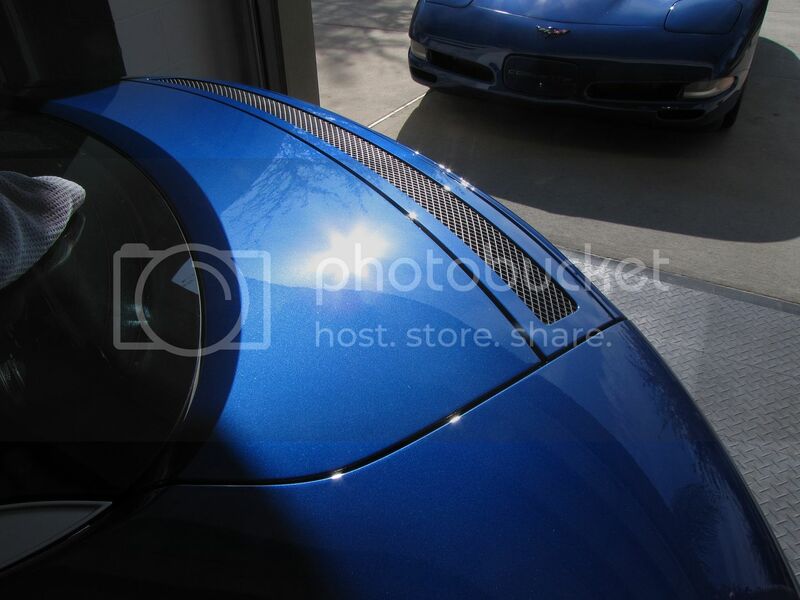 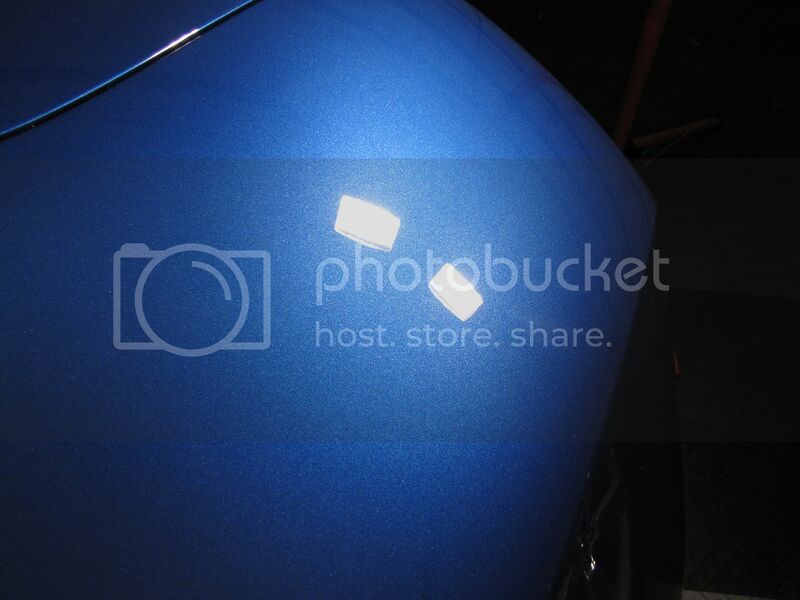 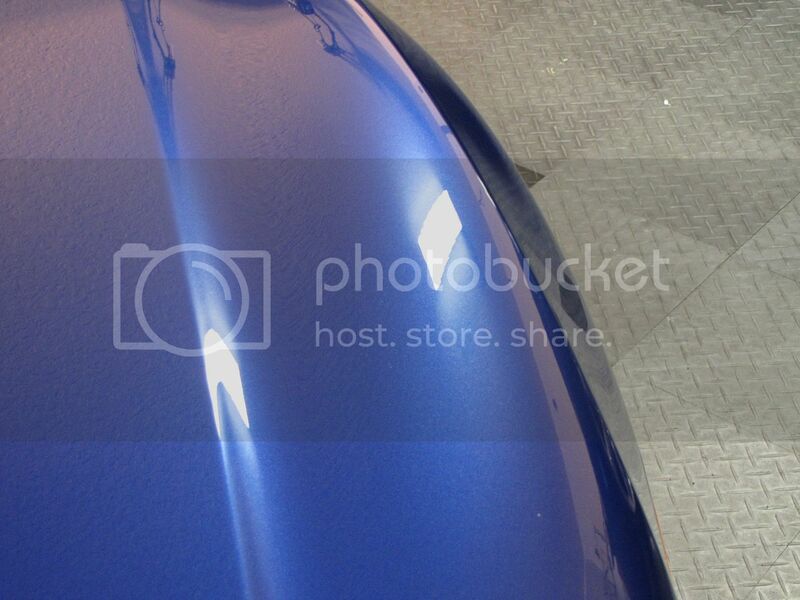 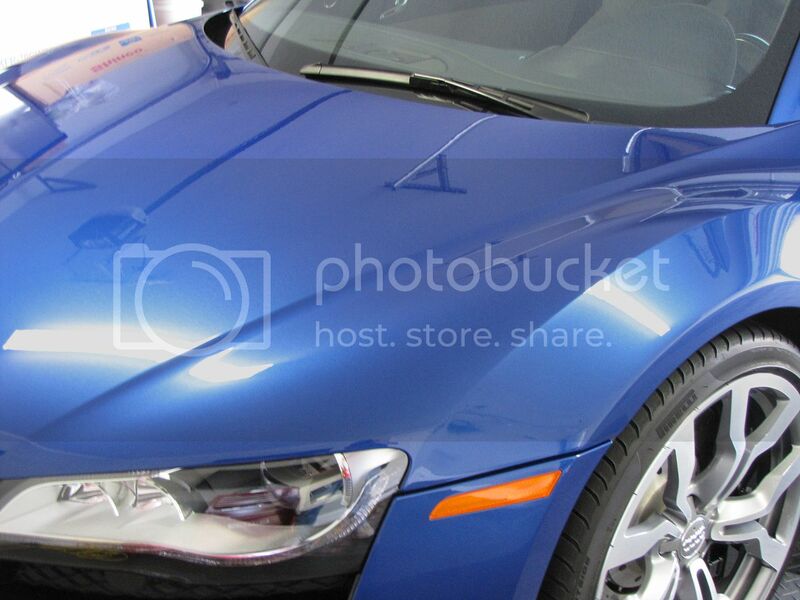 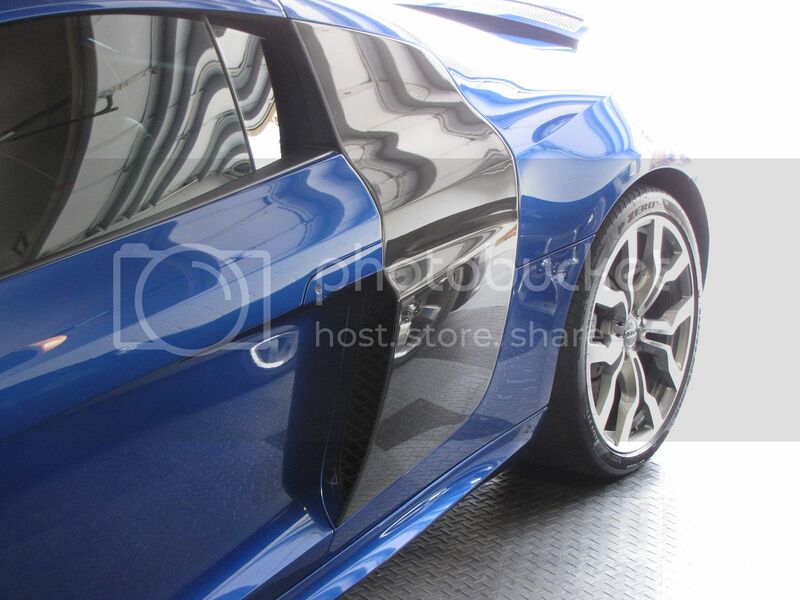 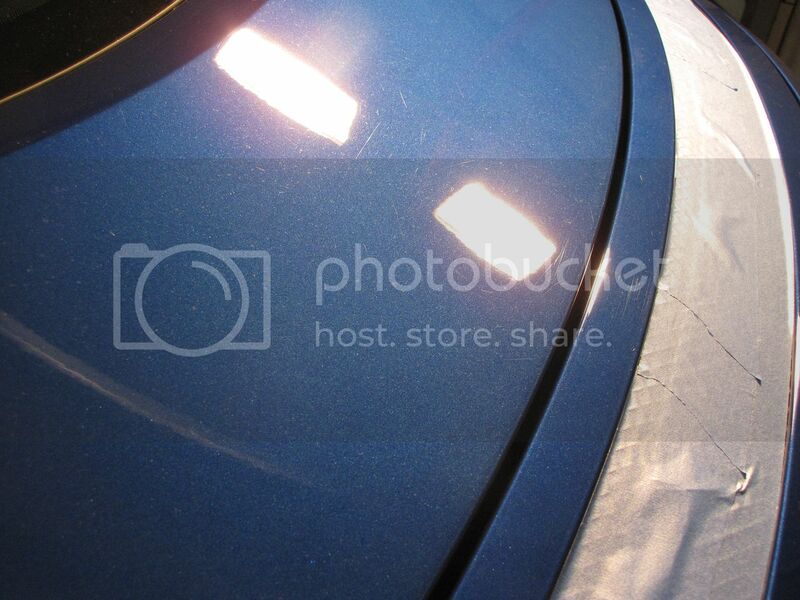 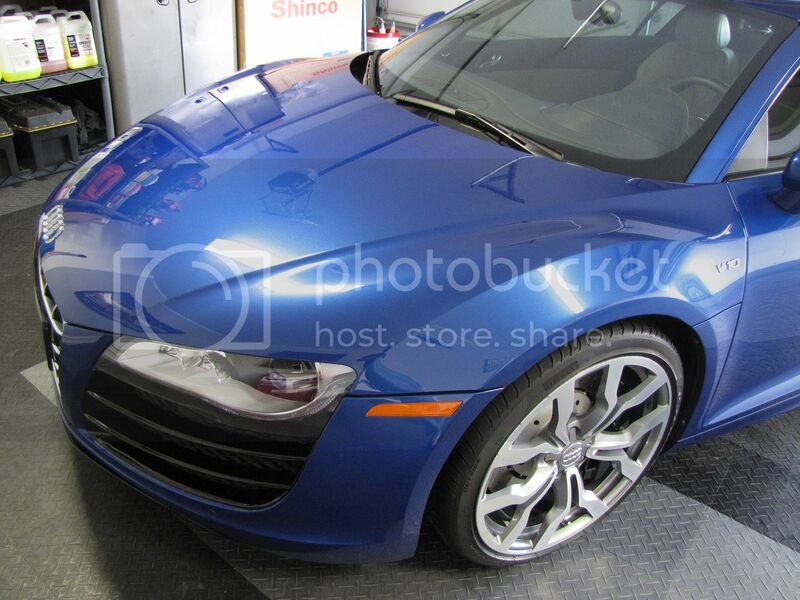 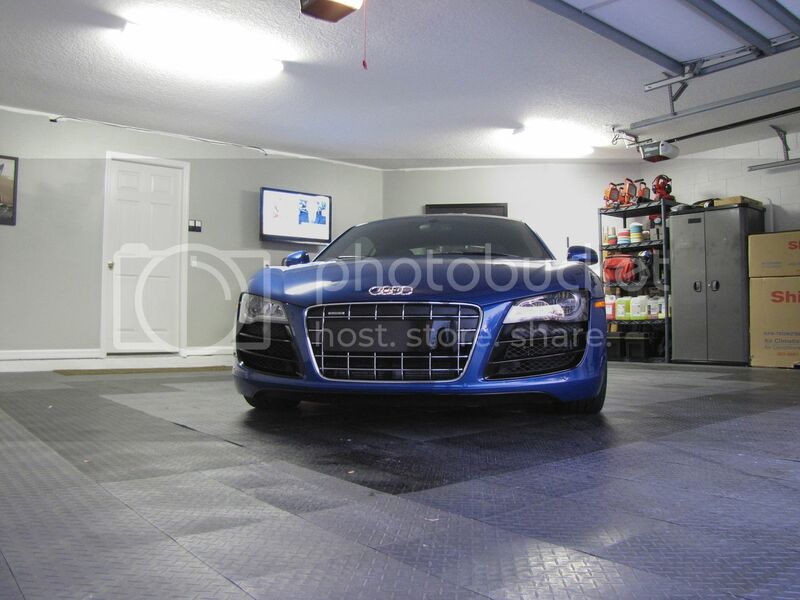 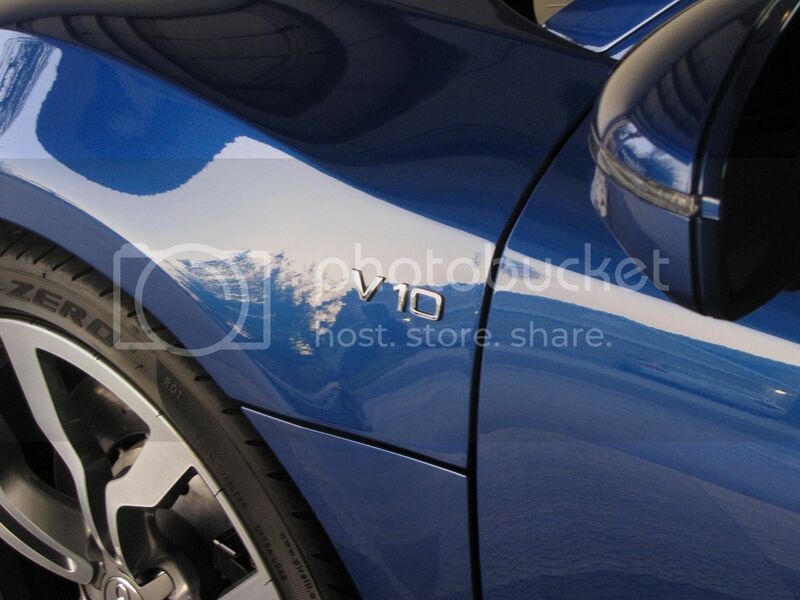 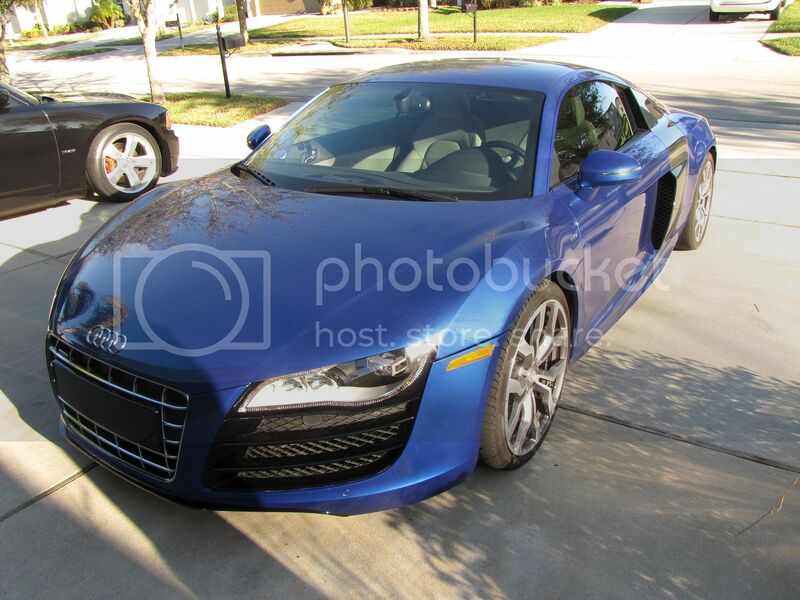 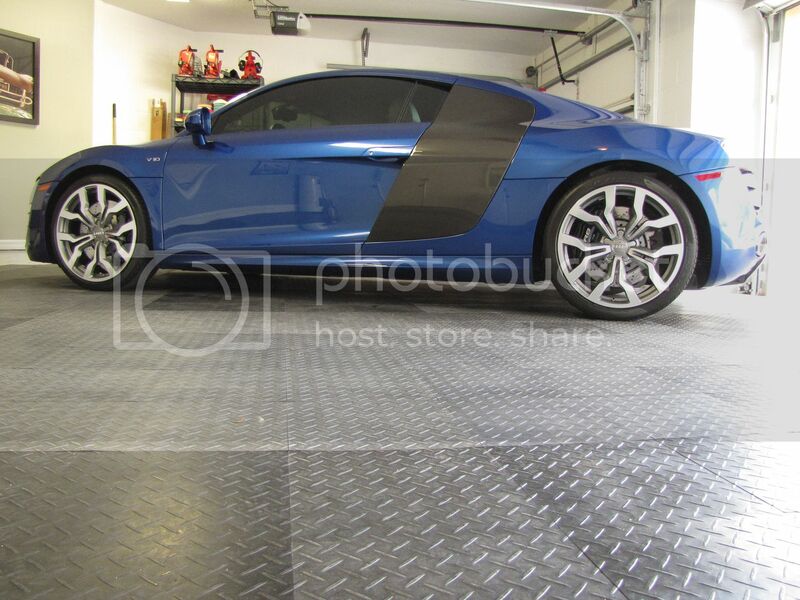 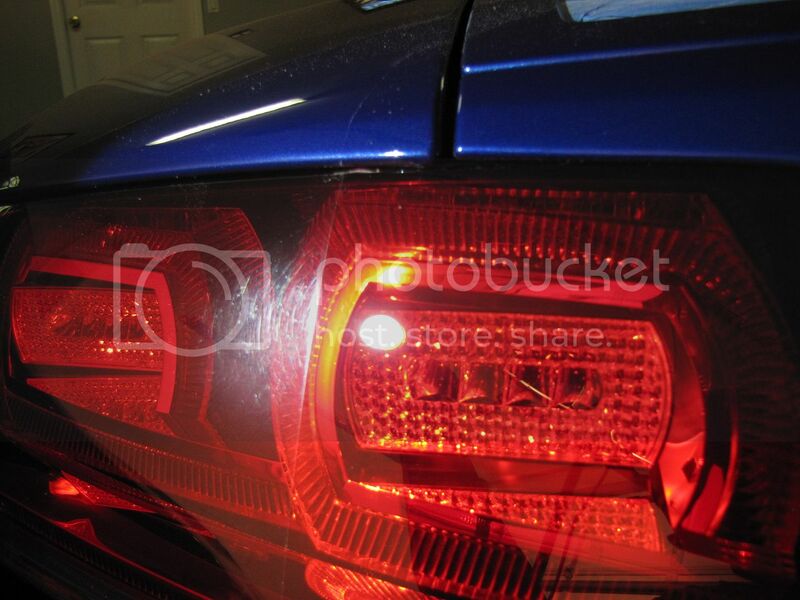 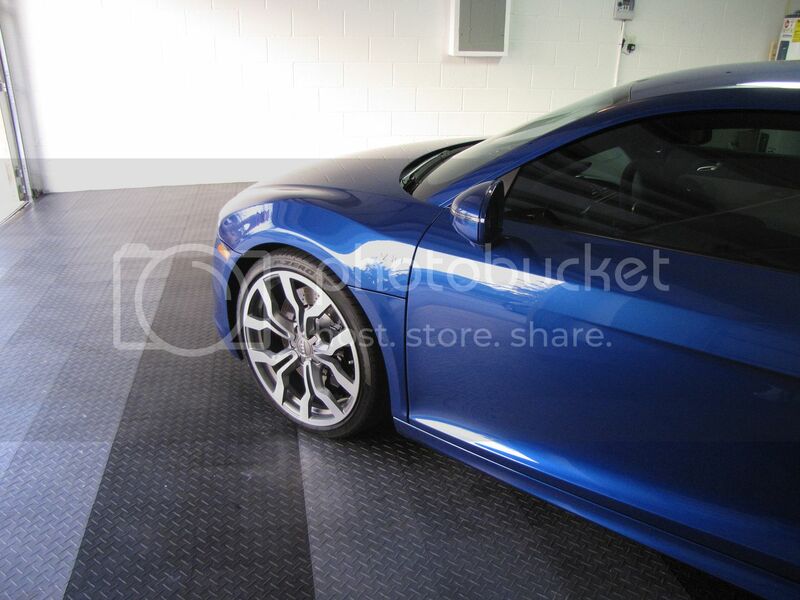 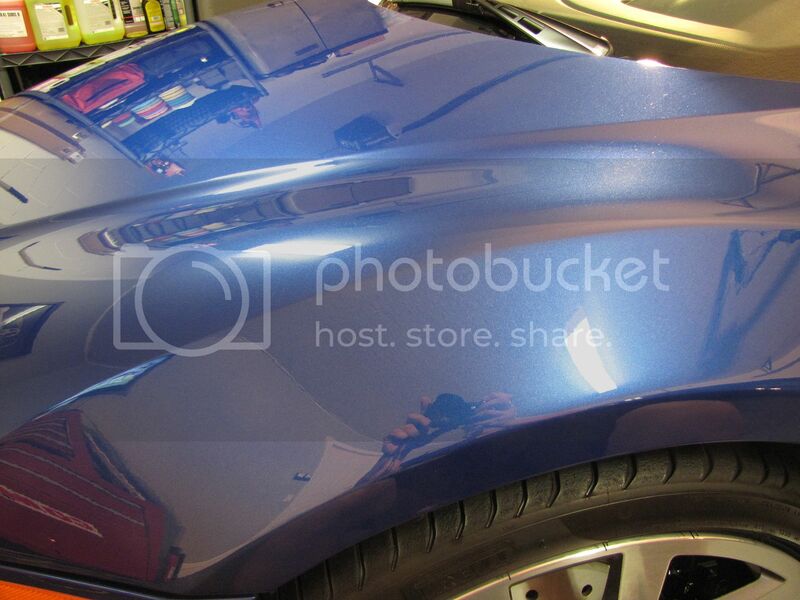 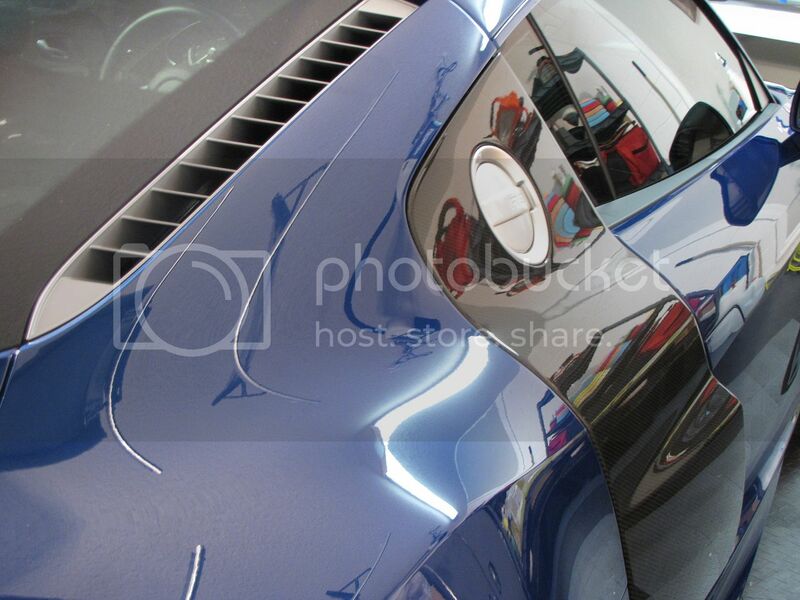 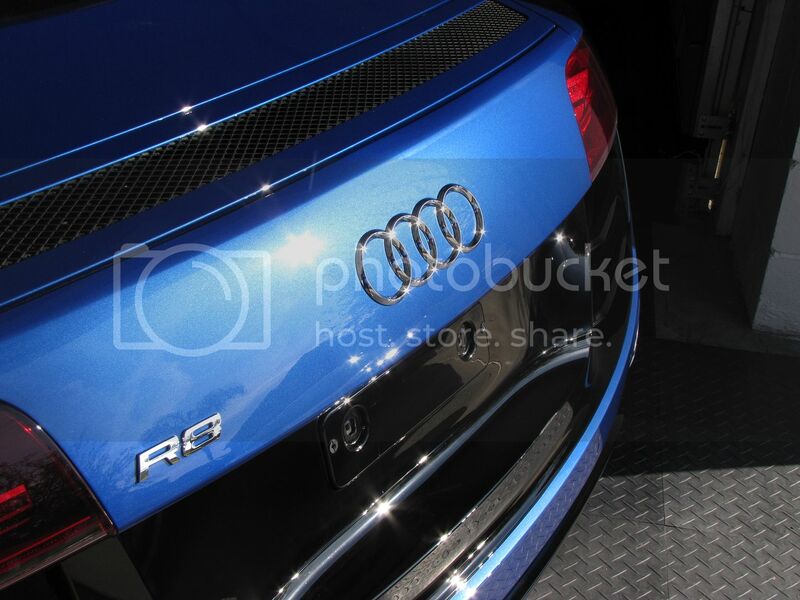 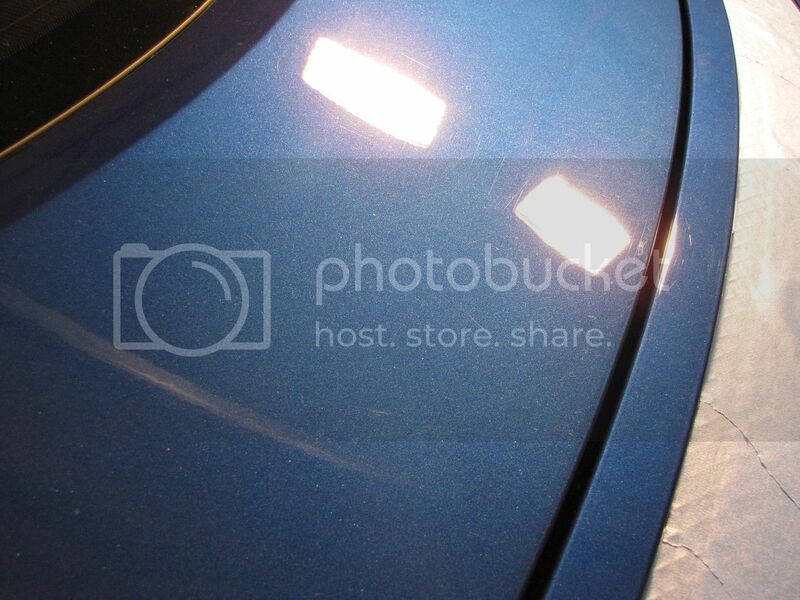 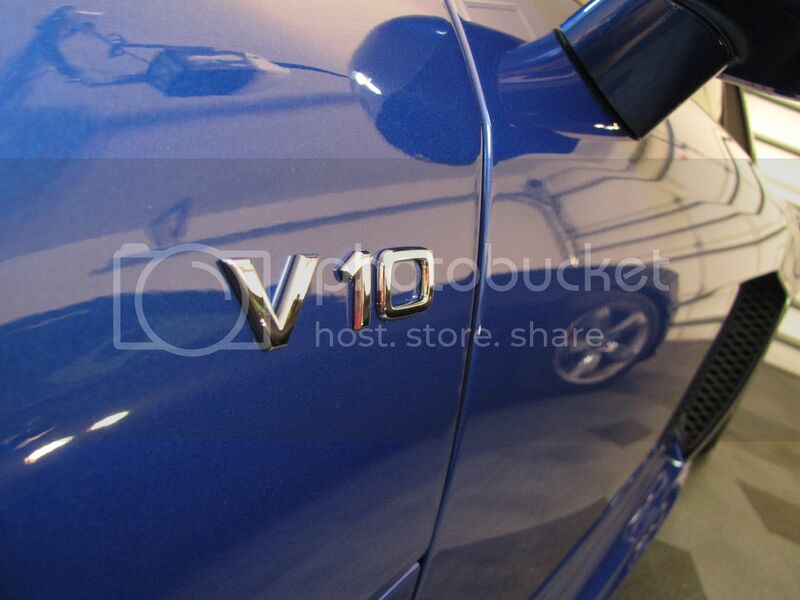 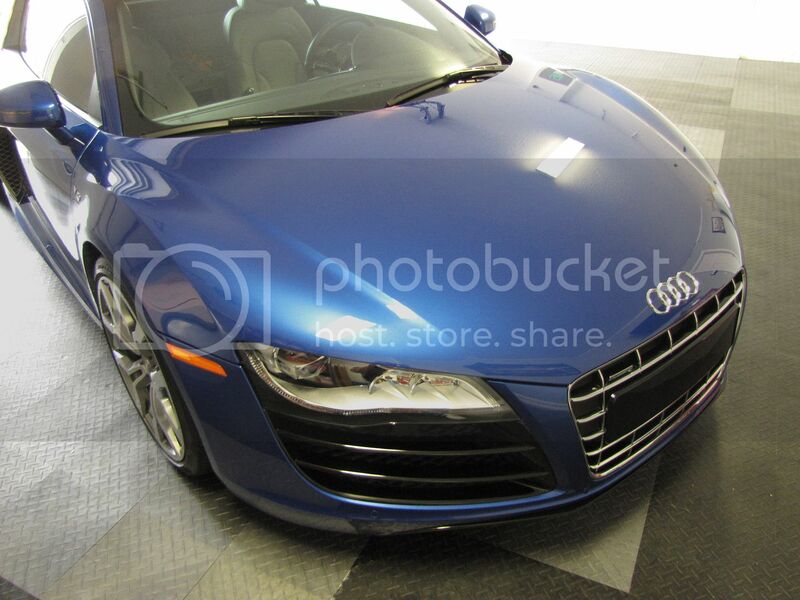 I was contacted by the owner of this 2011 Sepang Blue R8 V10 Coupe to perform a comprehensive correction detail. 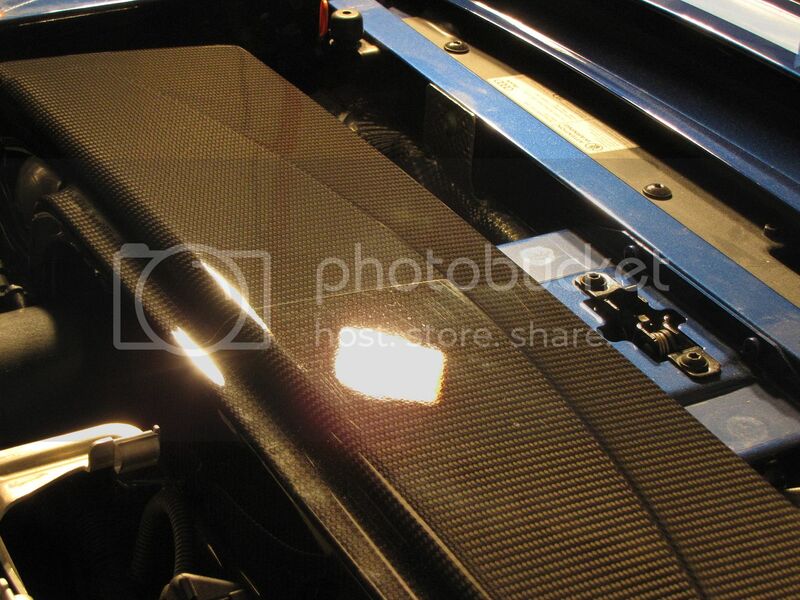 The car is raced on occasion. 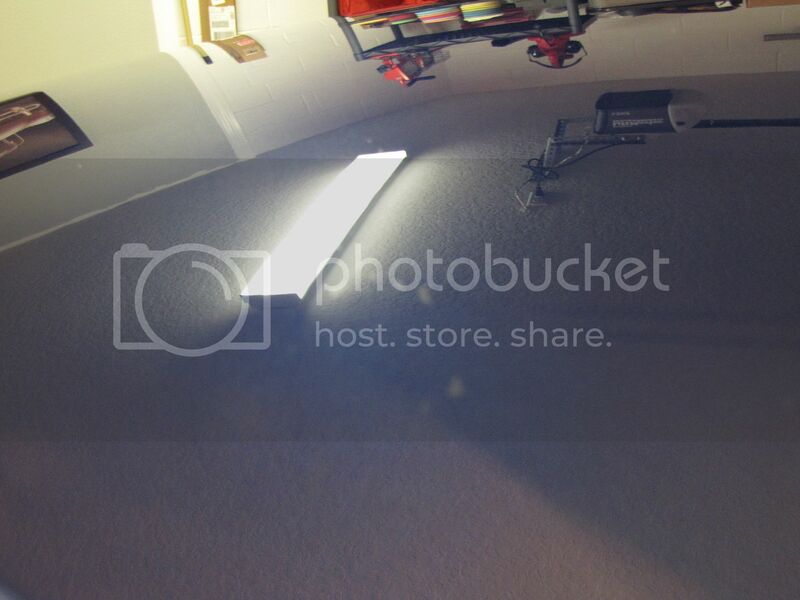 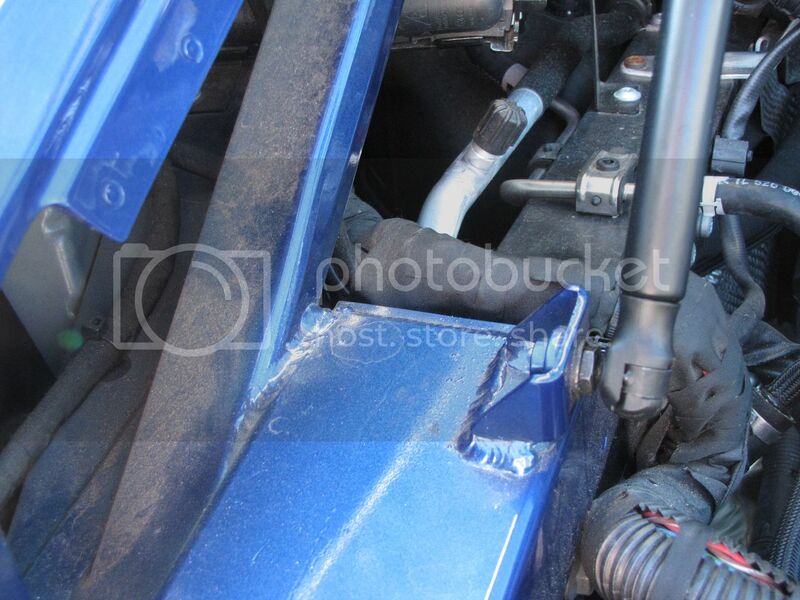 It wasn't in terrible shape but it was covered in long sweeping RIDS. 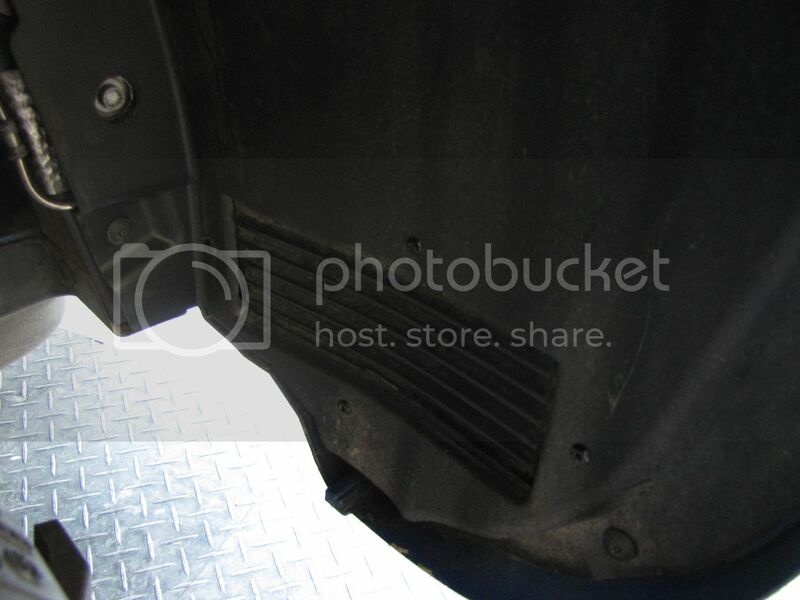 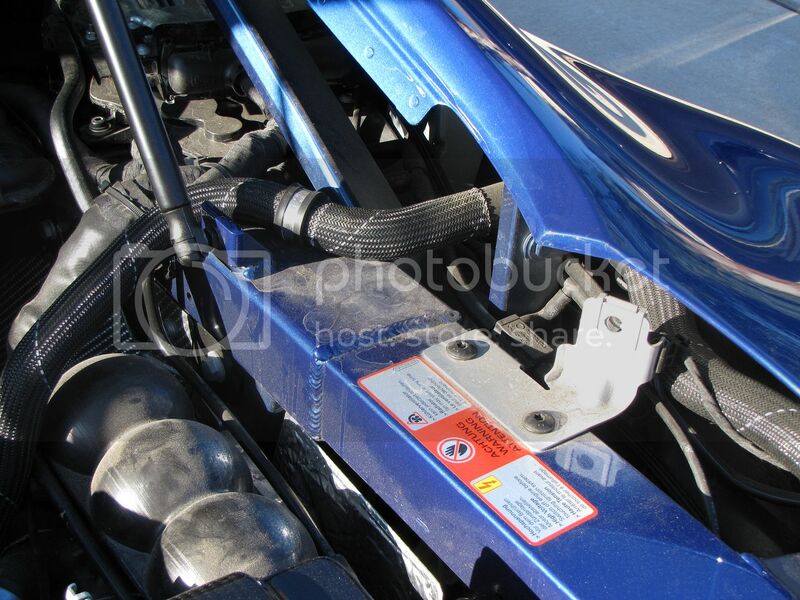 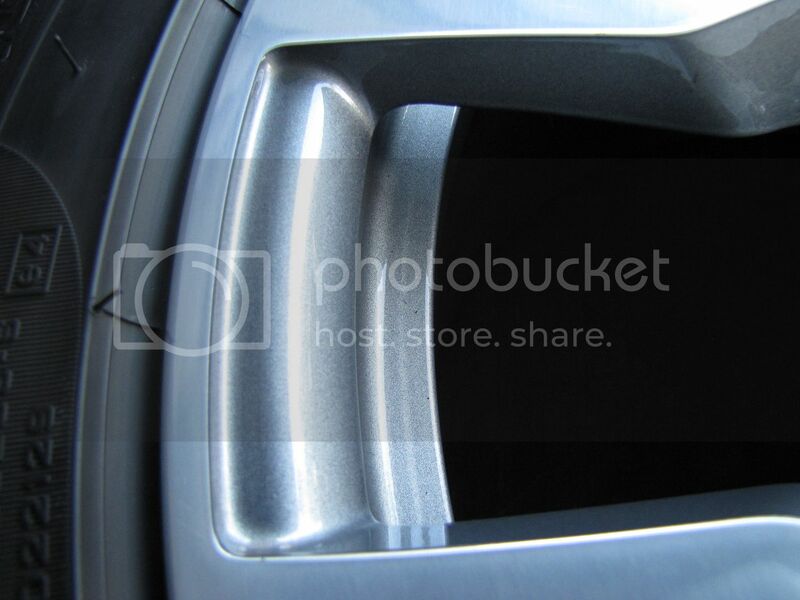 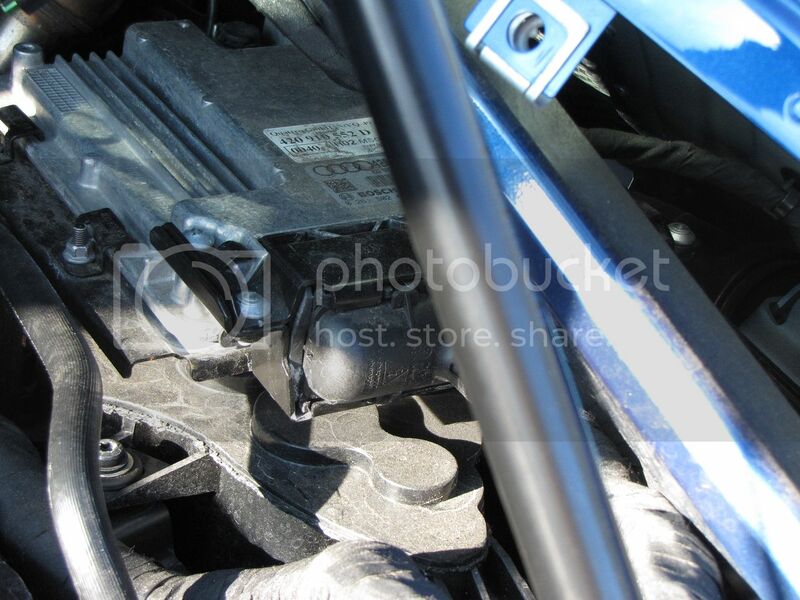 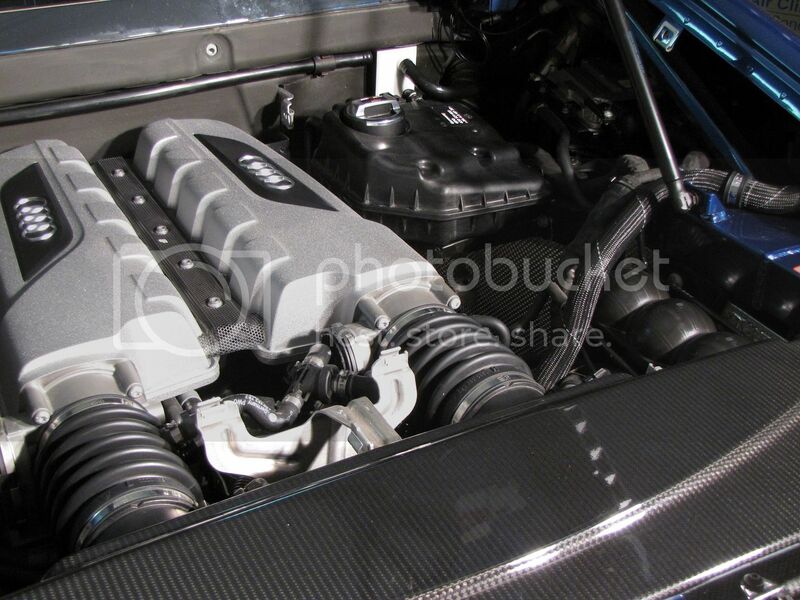 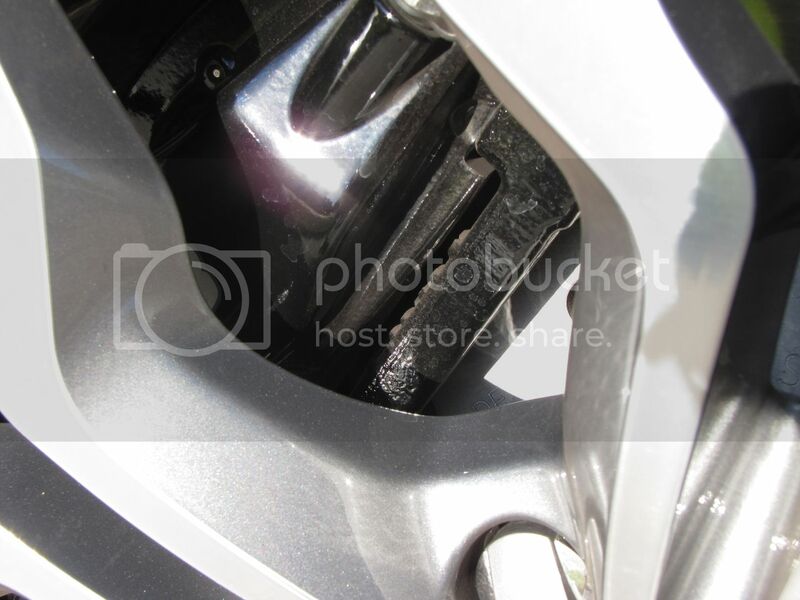 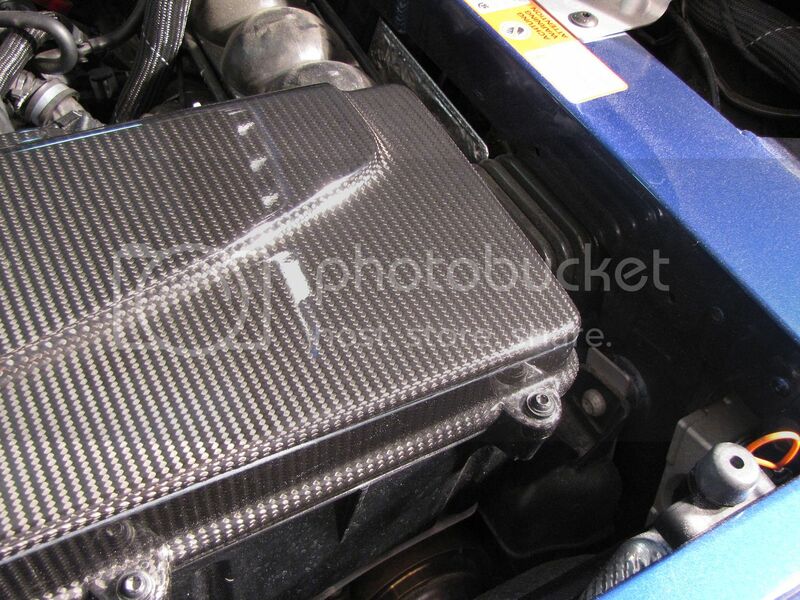 One concern the owner had was the condition of the carbon fiber engine compartment trim pieces. 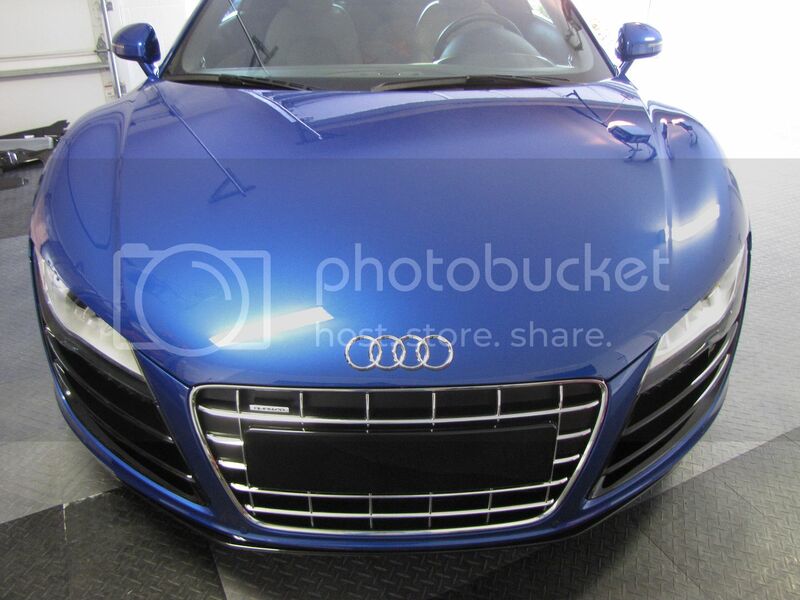 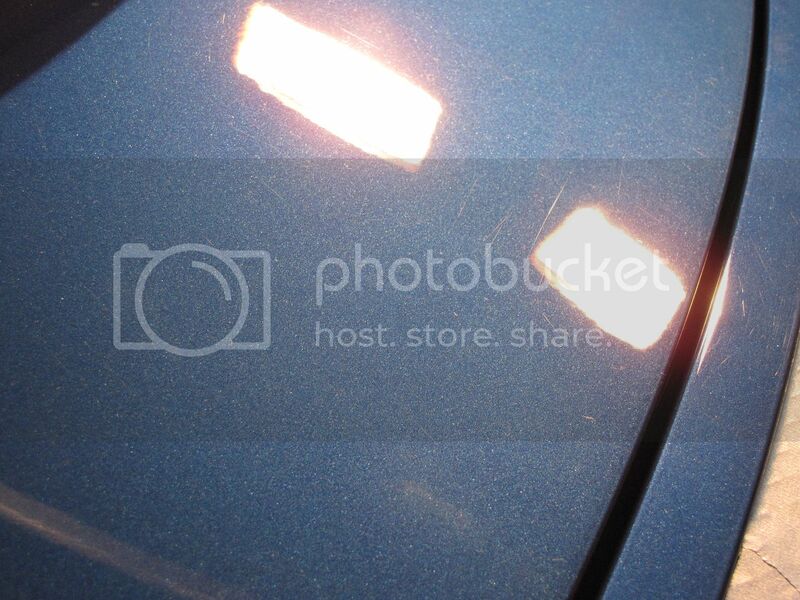 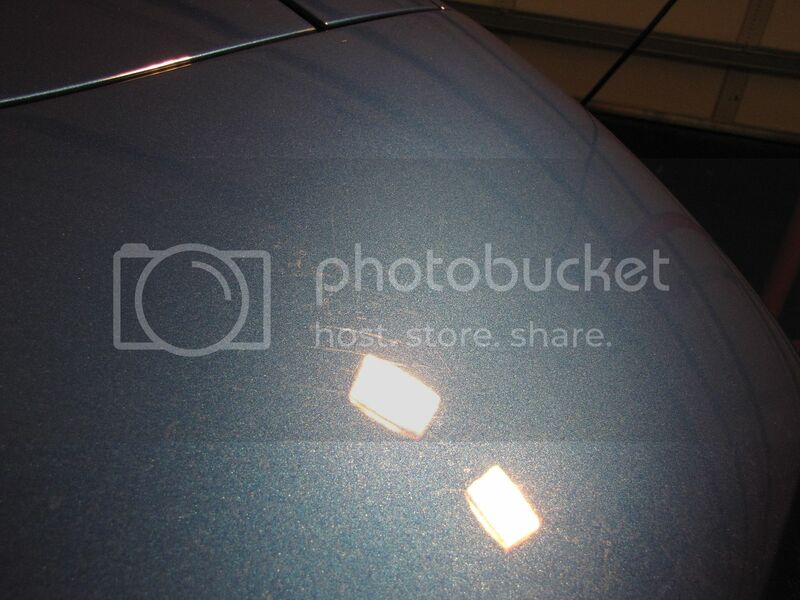 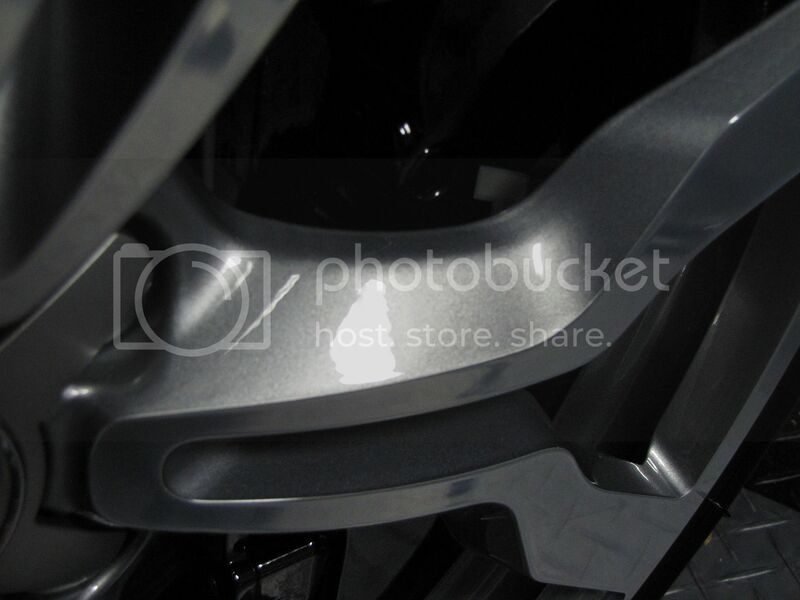 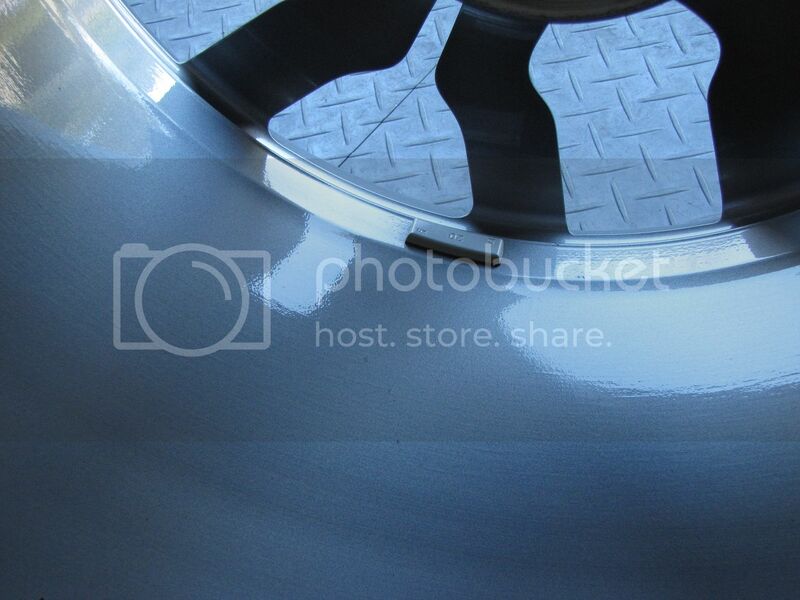 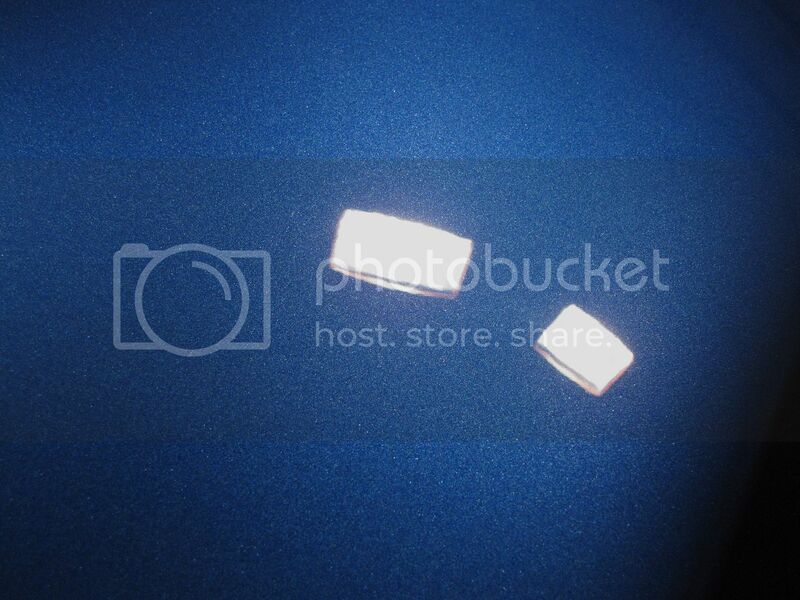 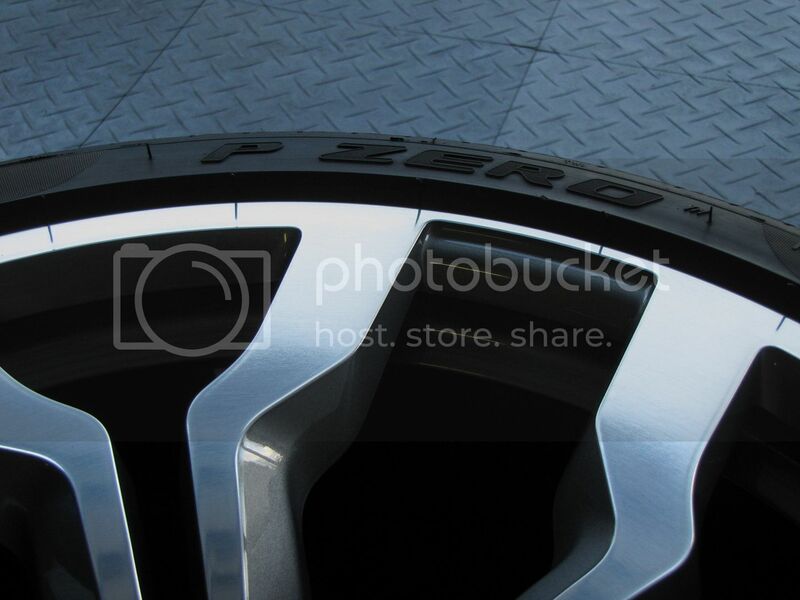 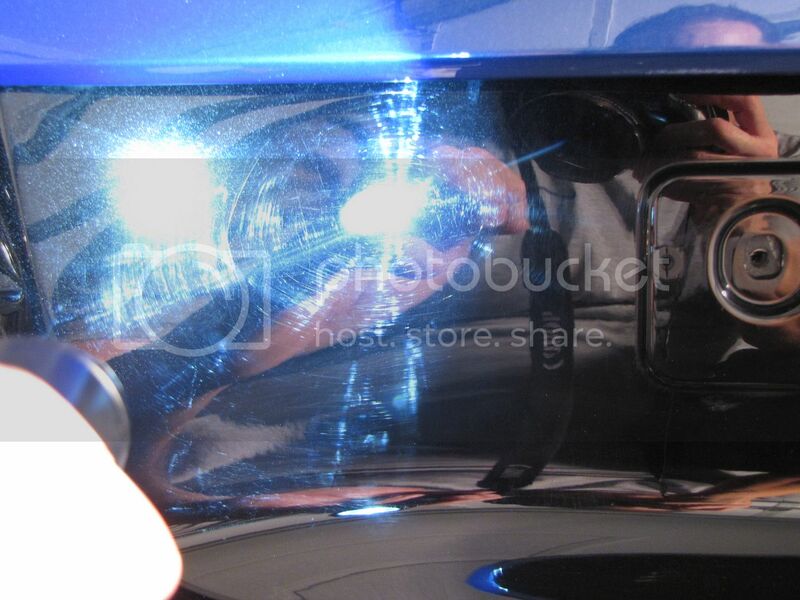 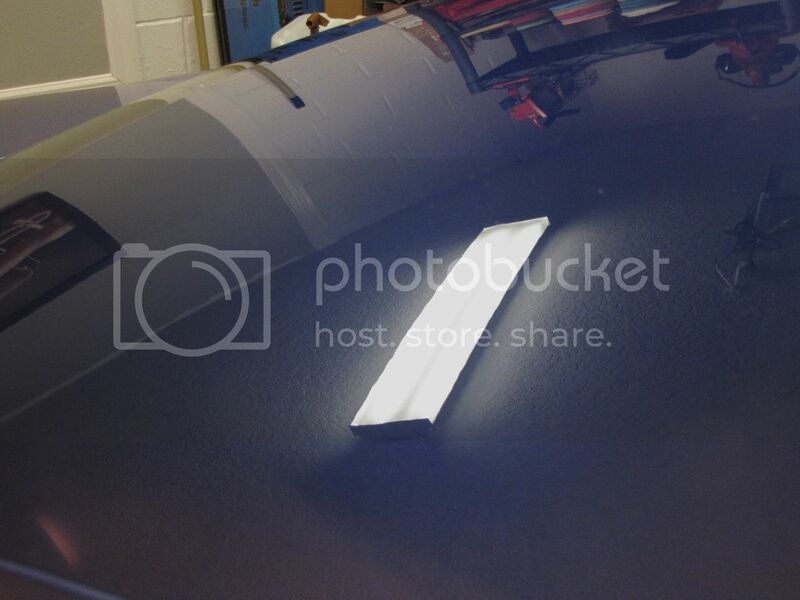 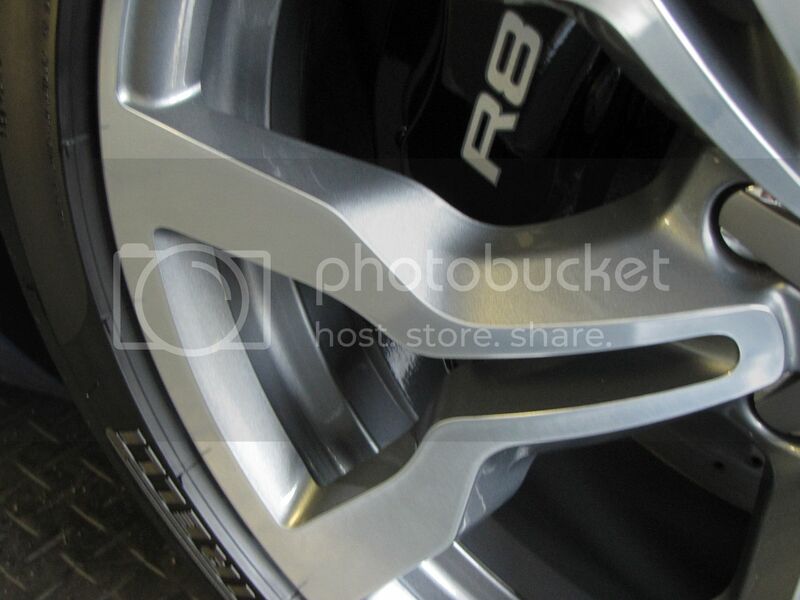 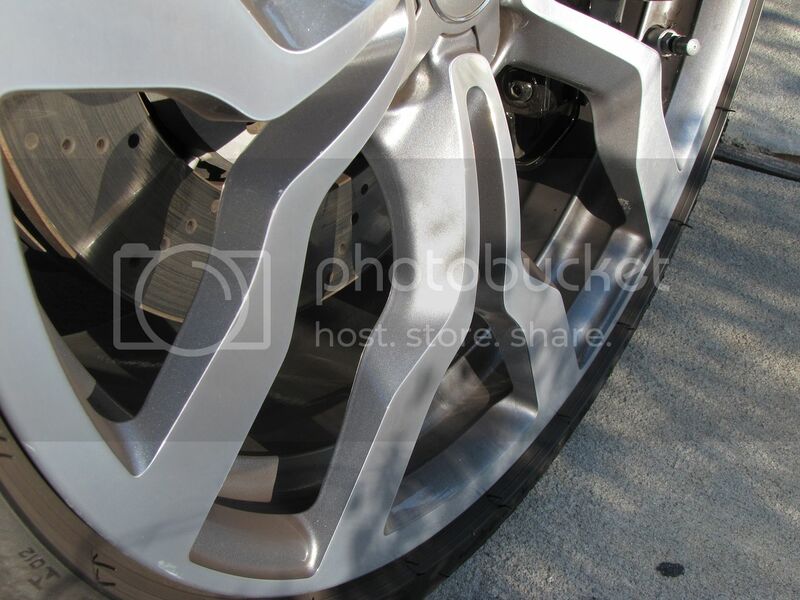 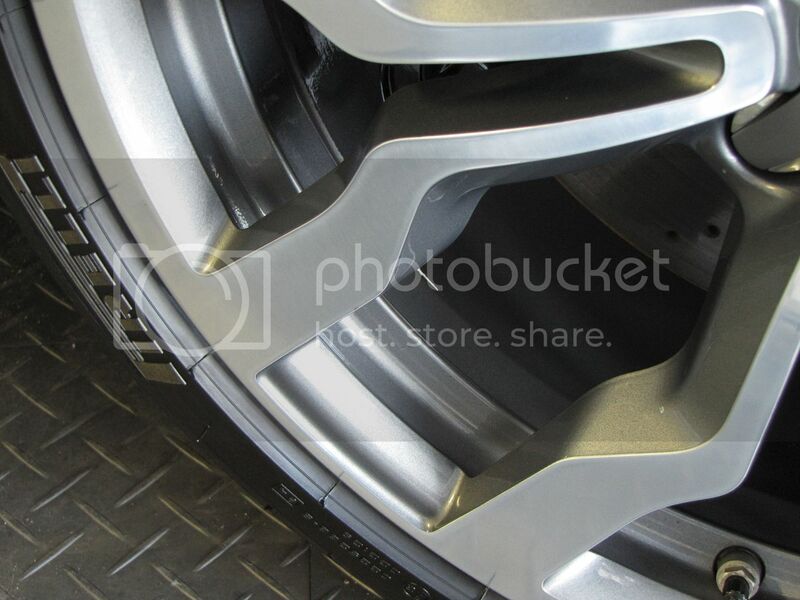 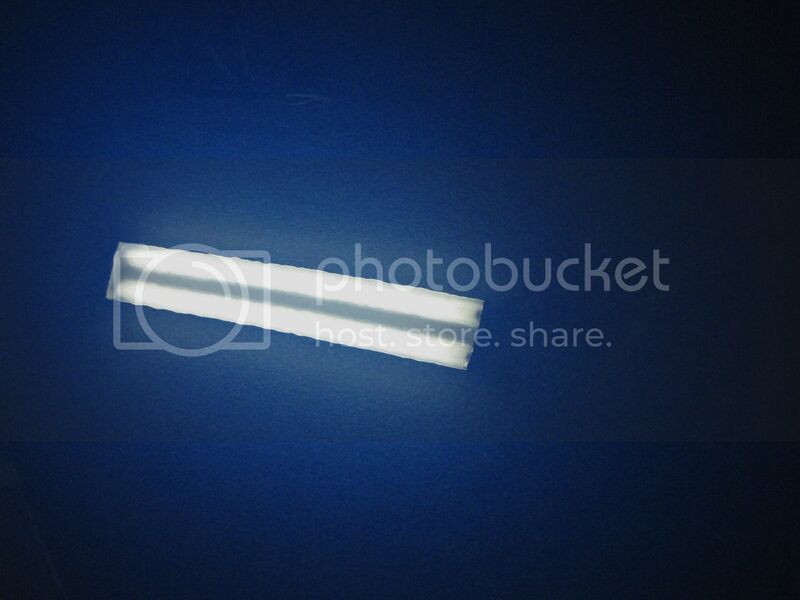 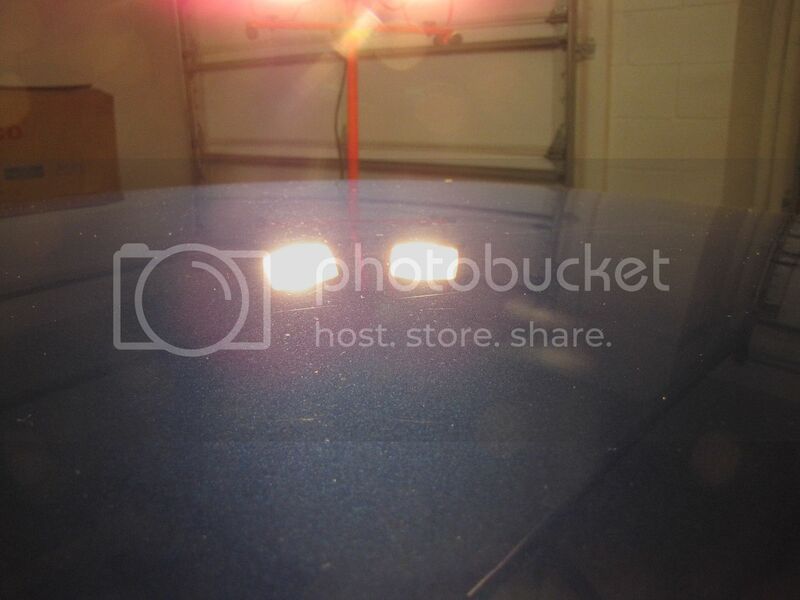 They were covered in swirls and holograms as this is how the supplier to Audi finishes them. 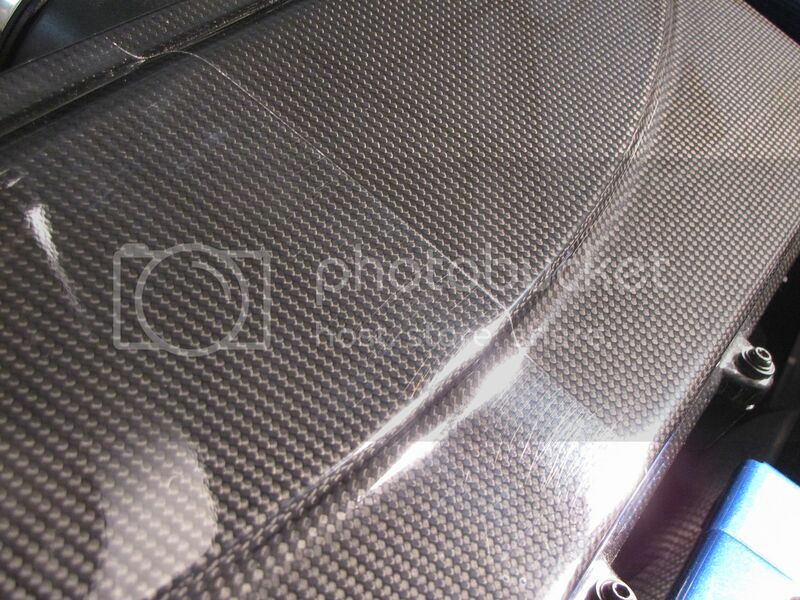 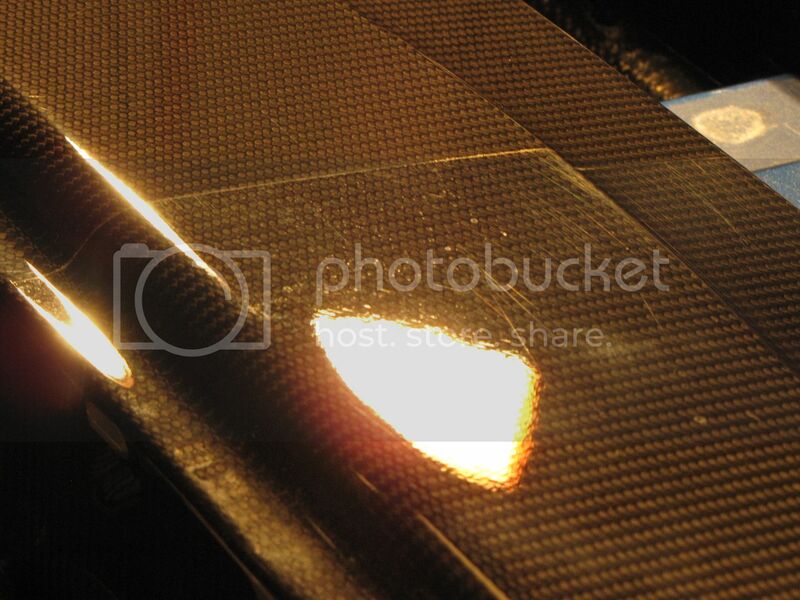 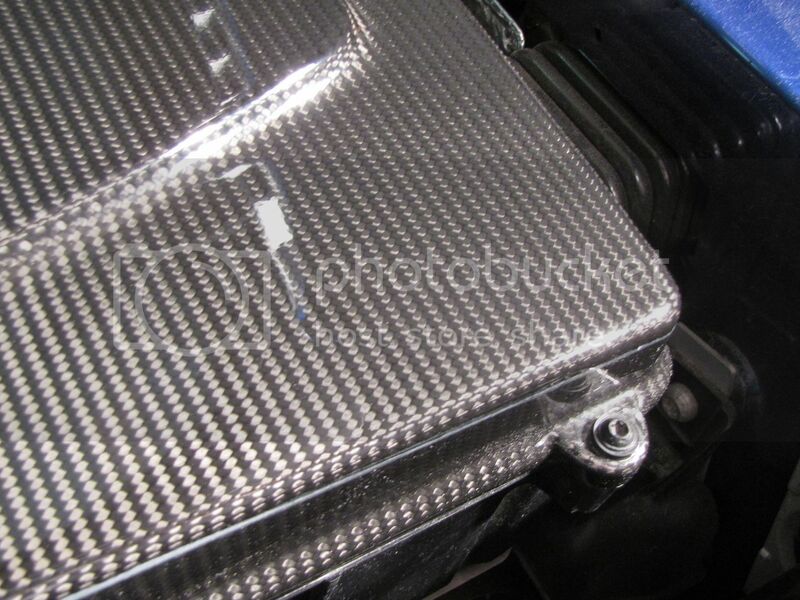 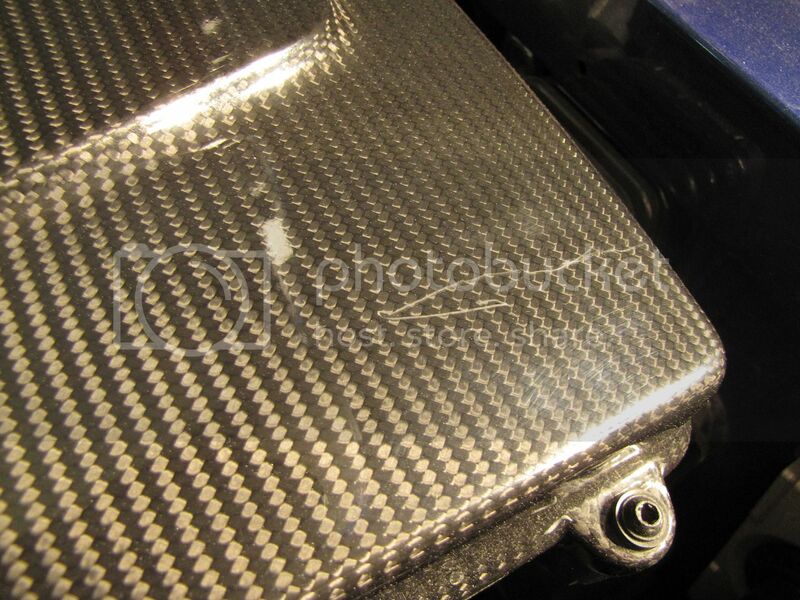 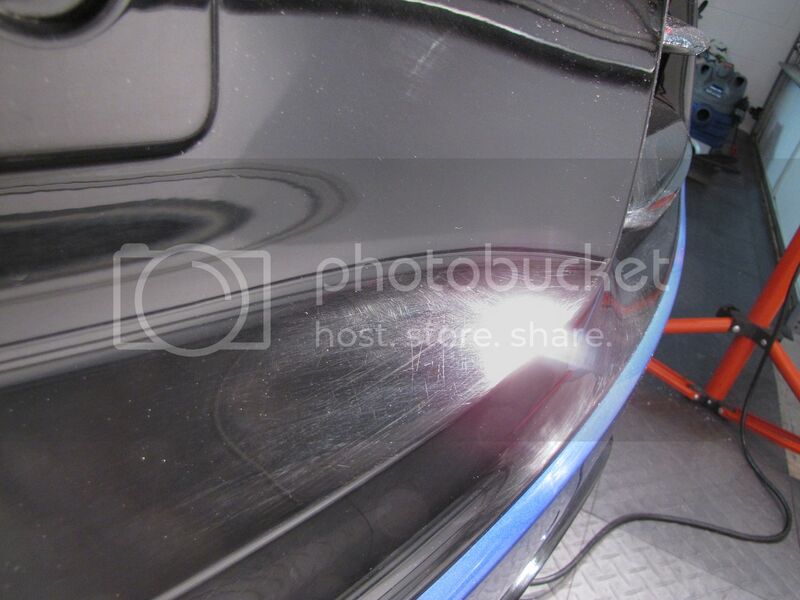 The carbon fiber air filter cover also had a deep scratch that needed some attention. 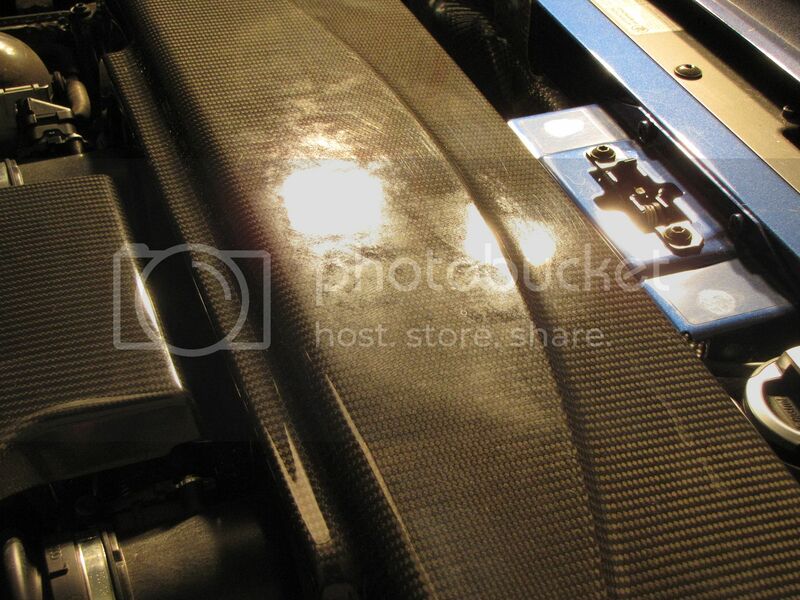 Carbon fiber trim pieces removed. 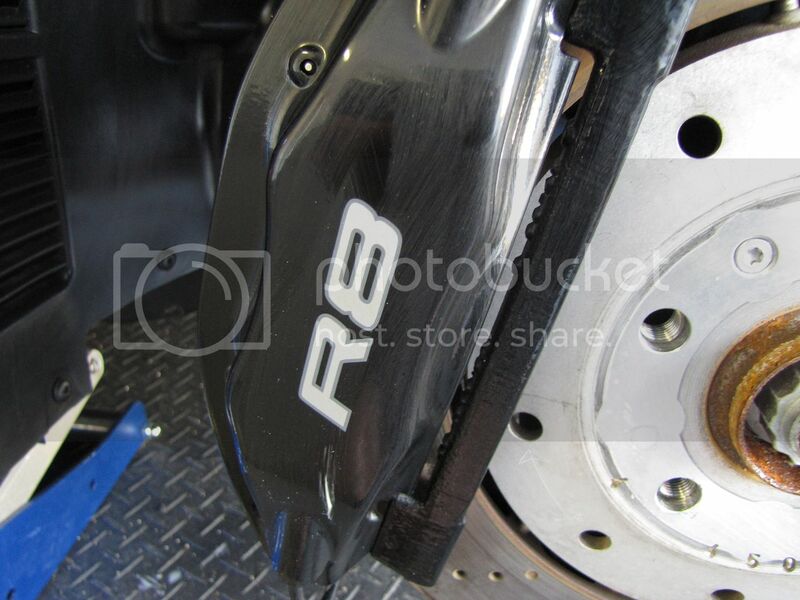 The carbon side blades were in need of some work. 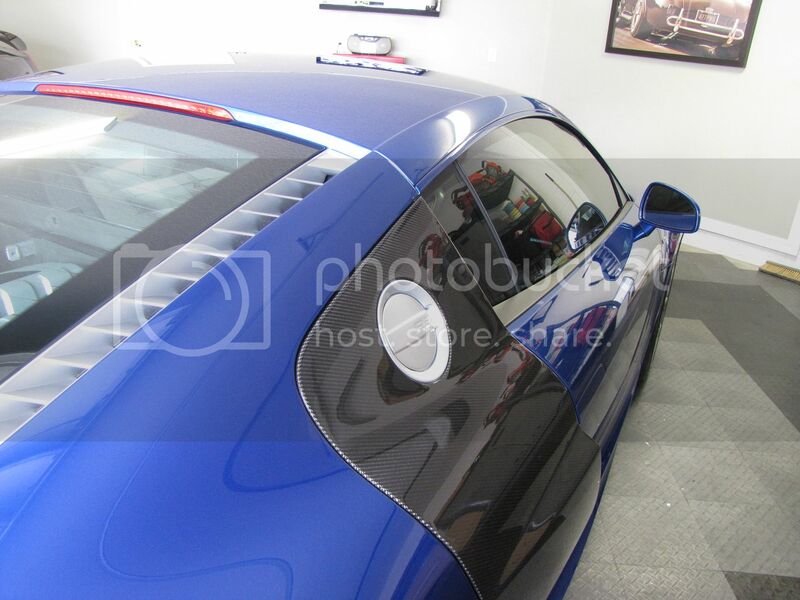 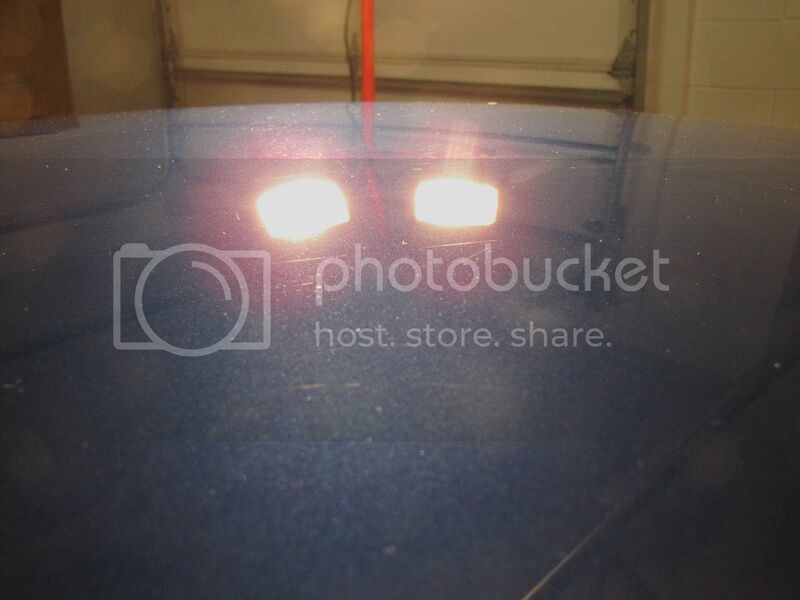 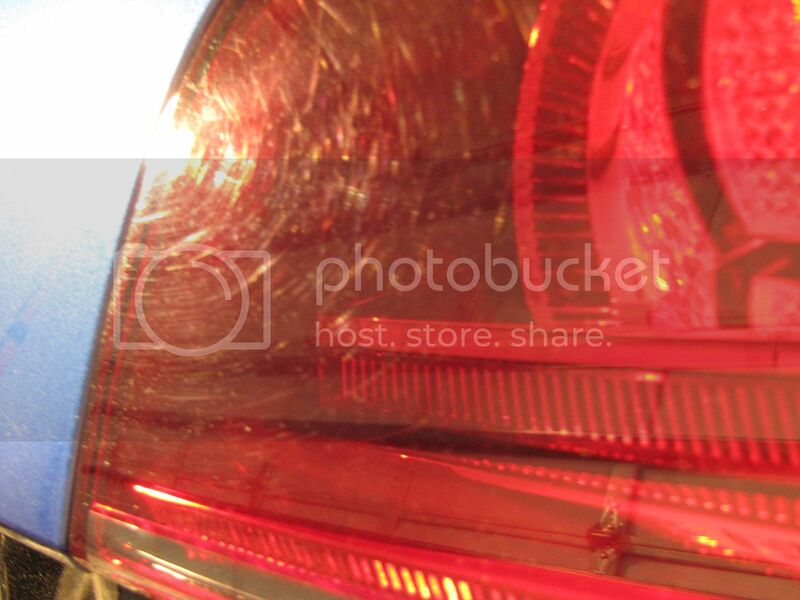 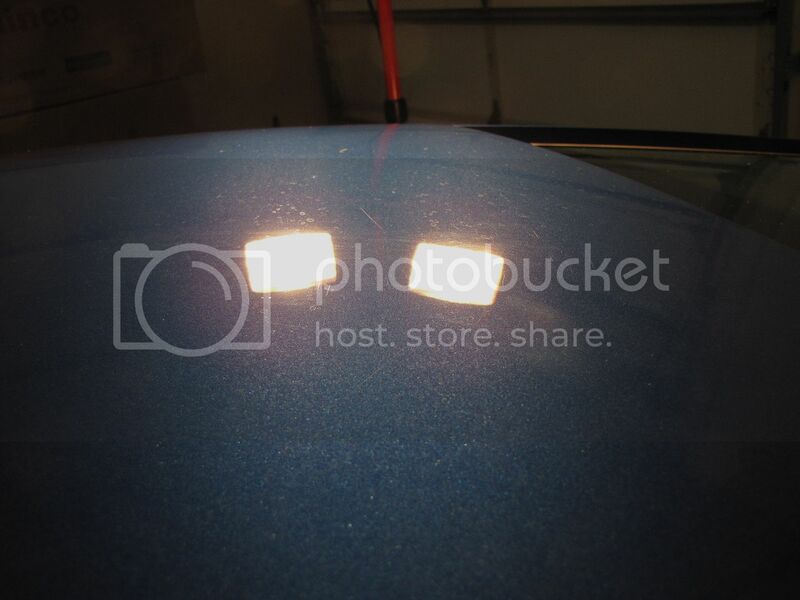 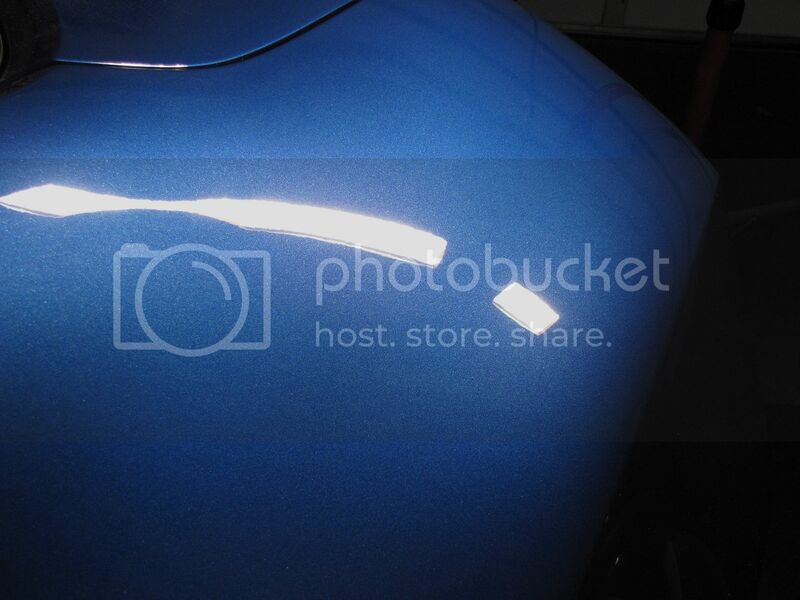 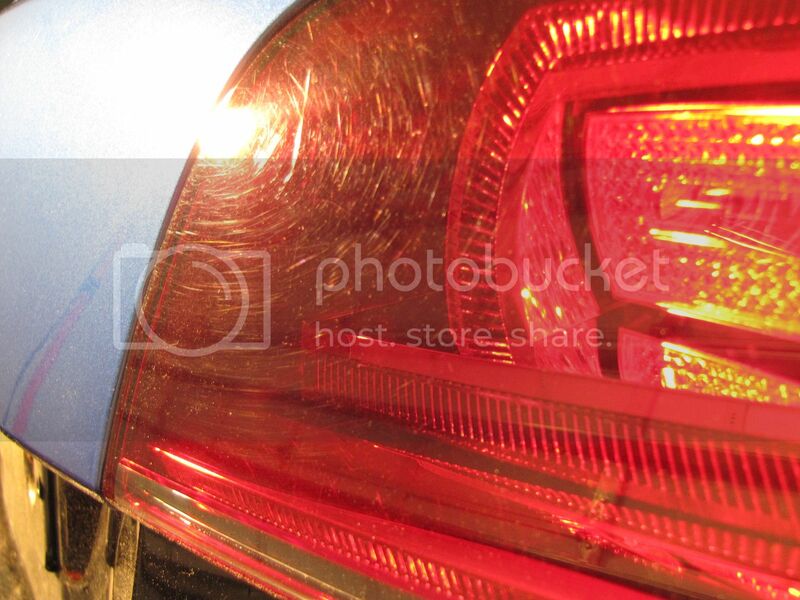 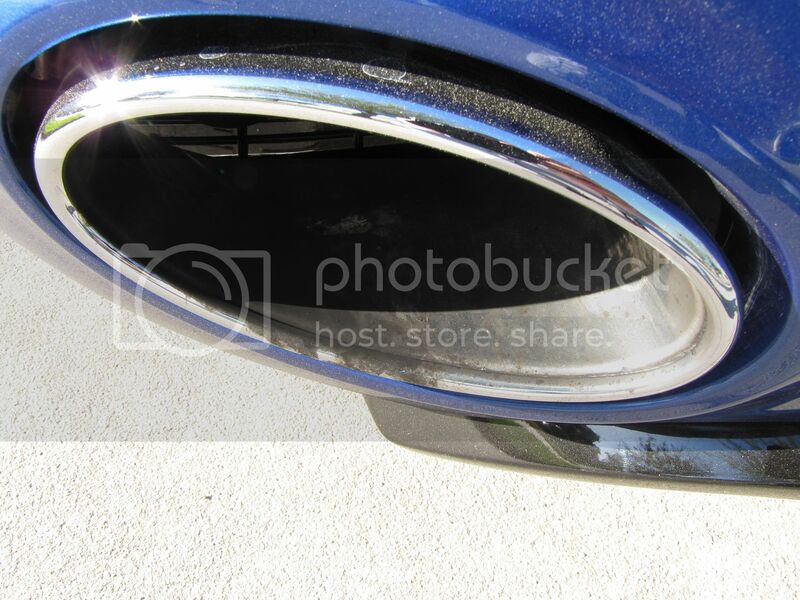 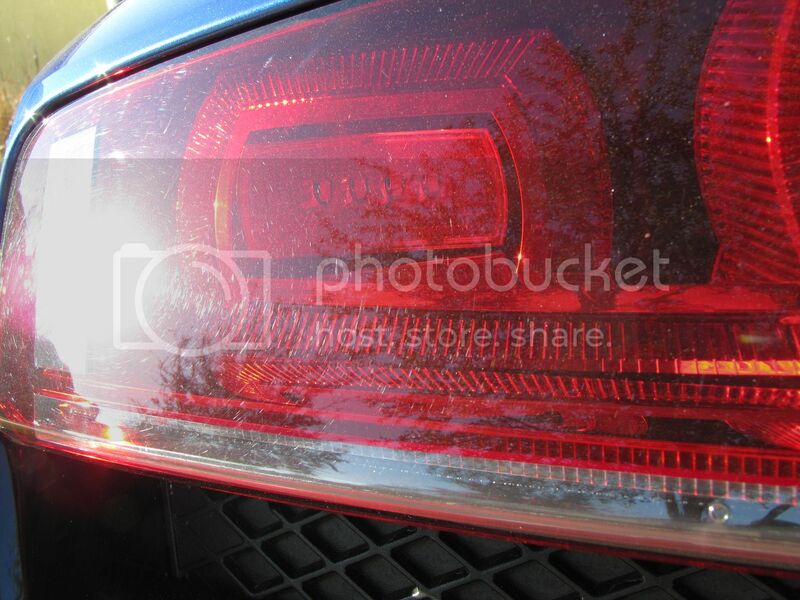 The rear bumper and fins were covered in exhaust fallout. 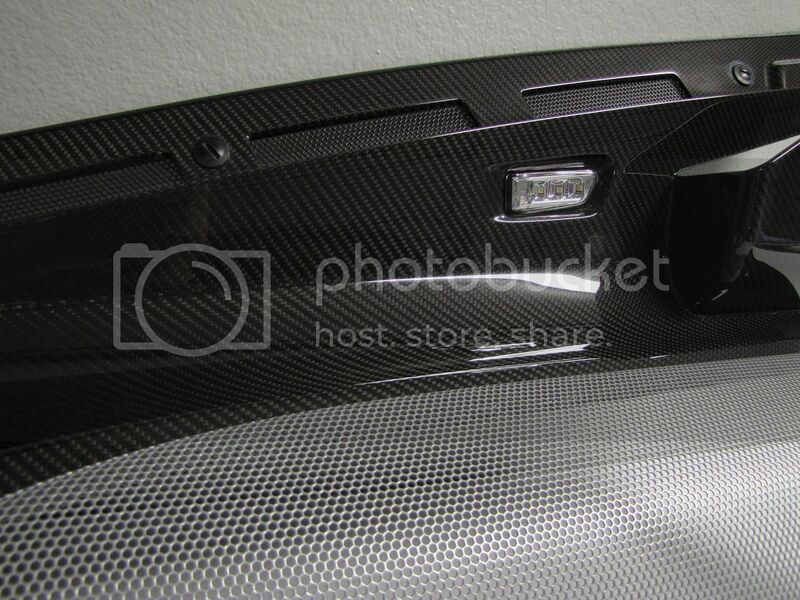 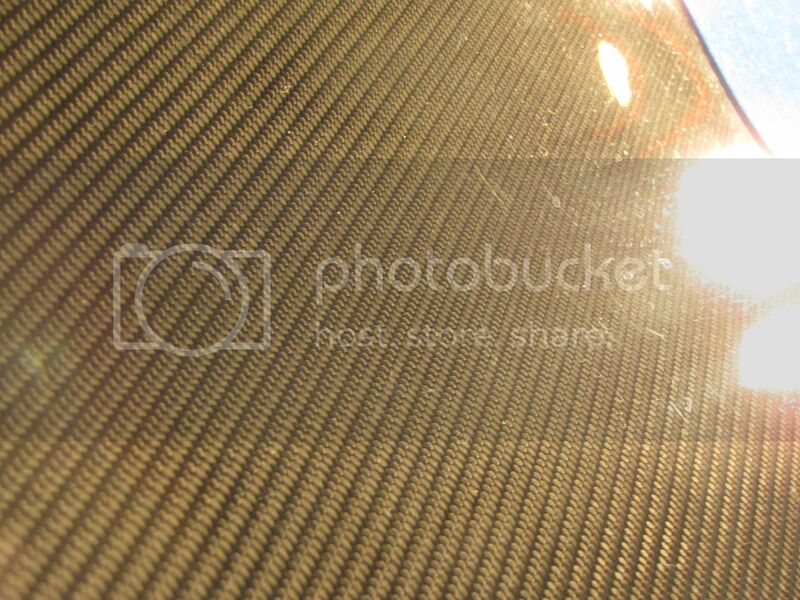 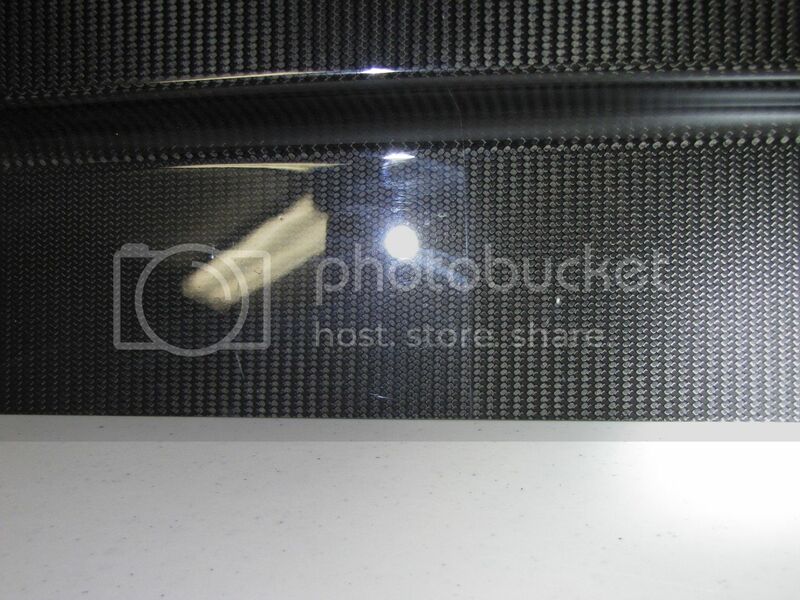 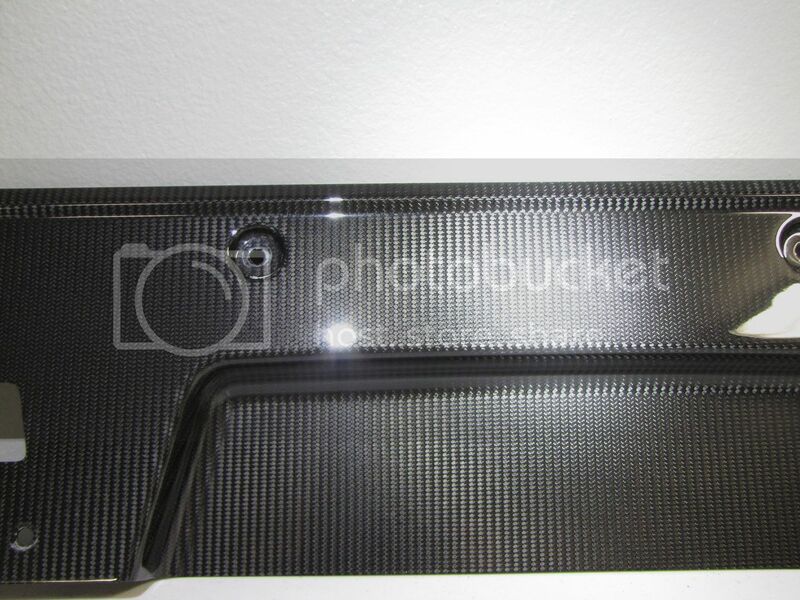 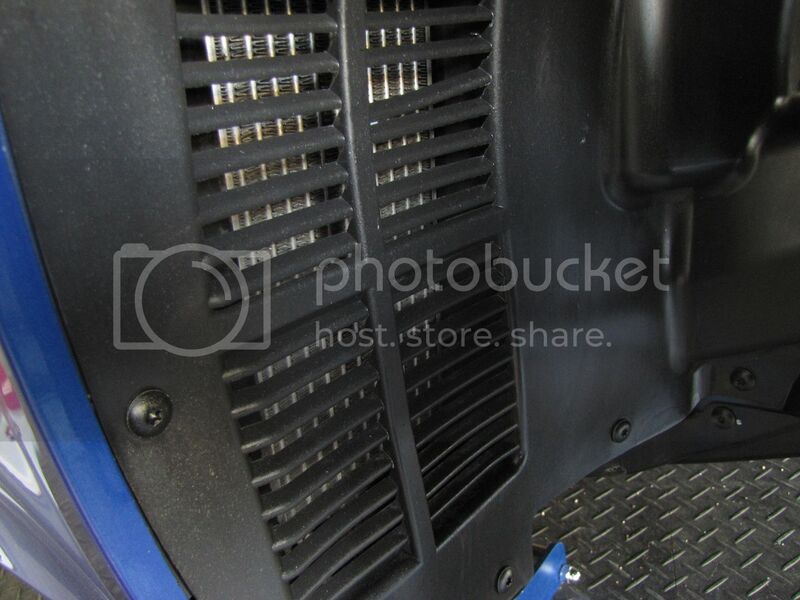 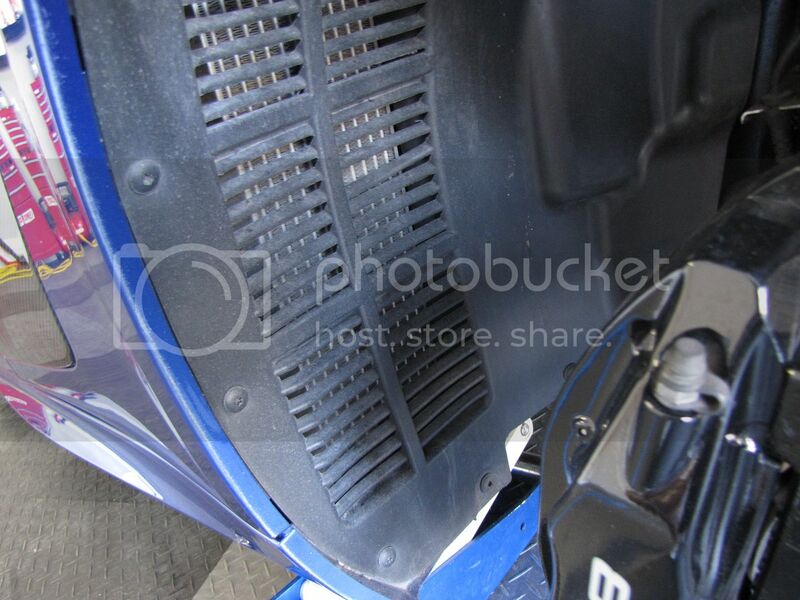 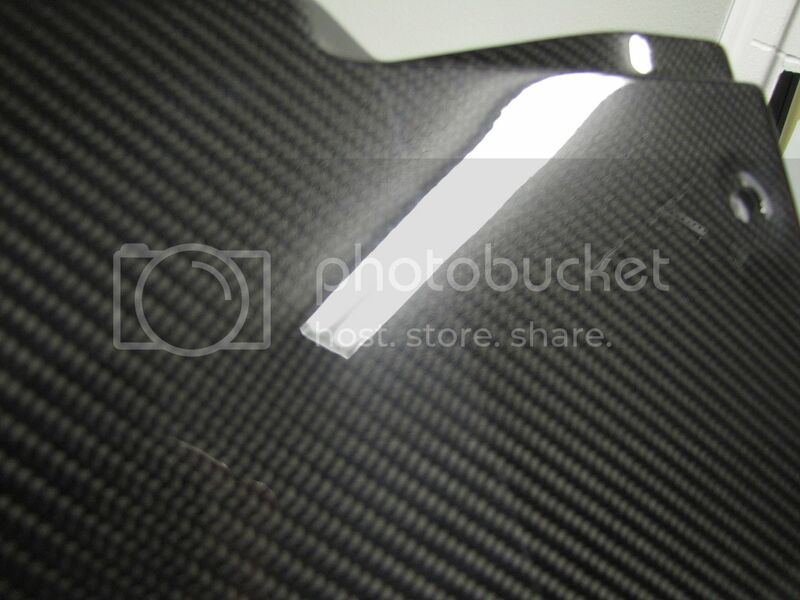 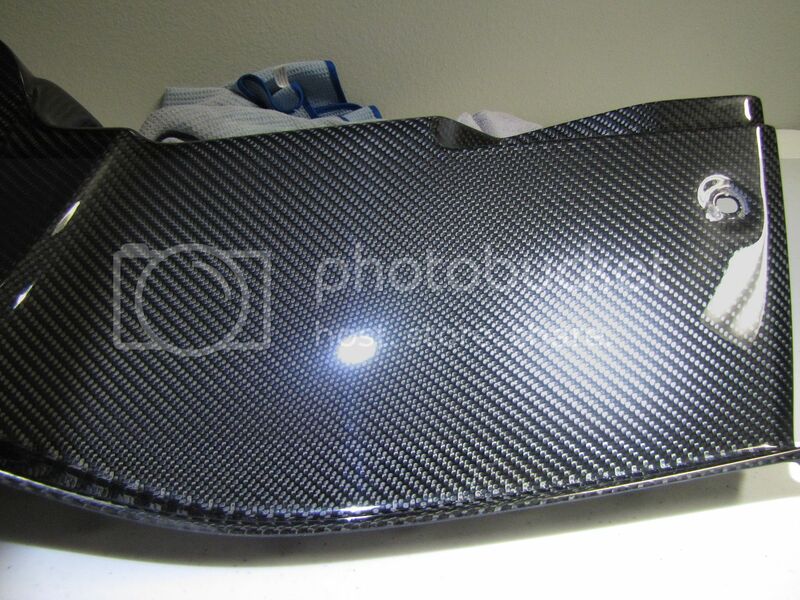 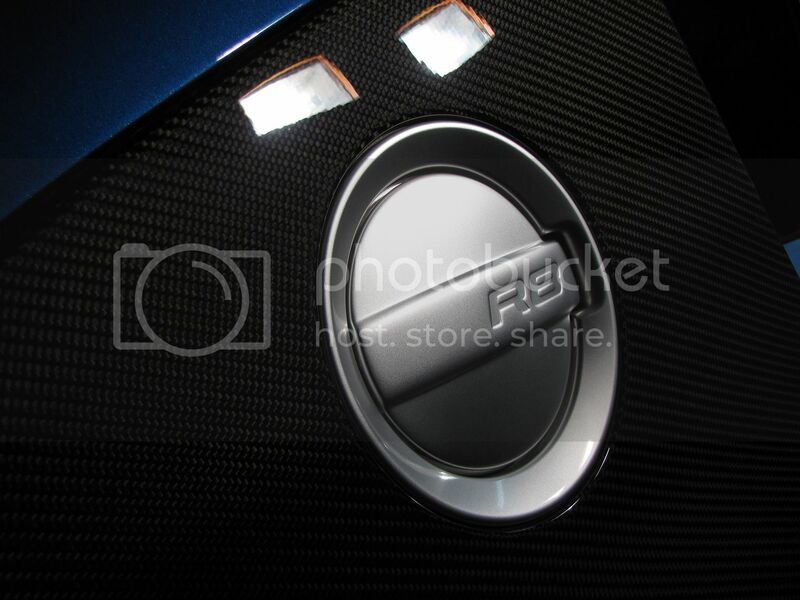 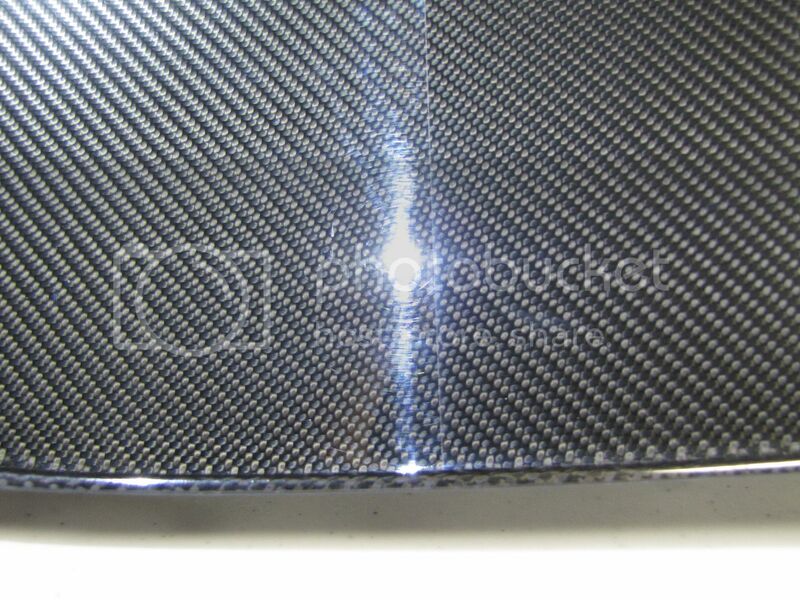 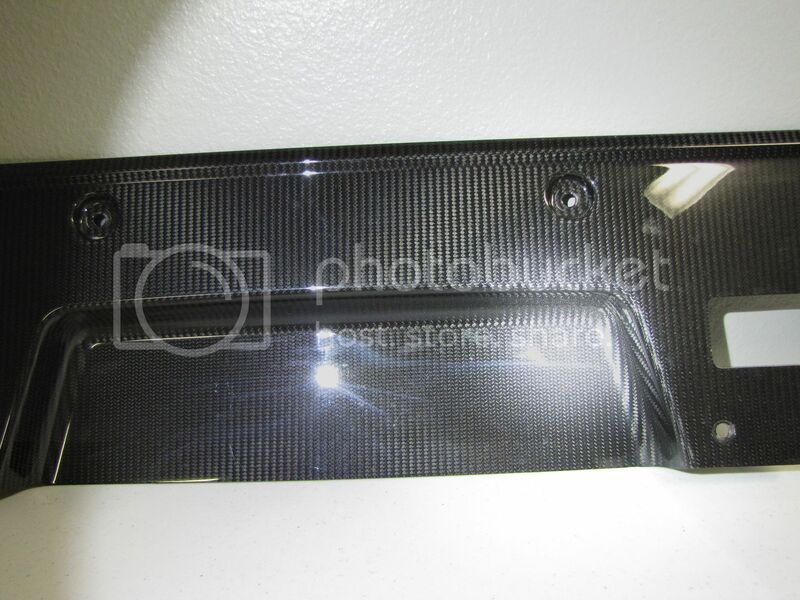 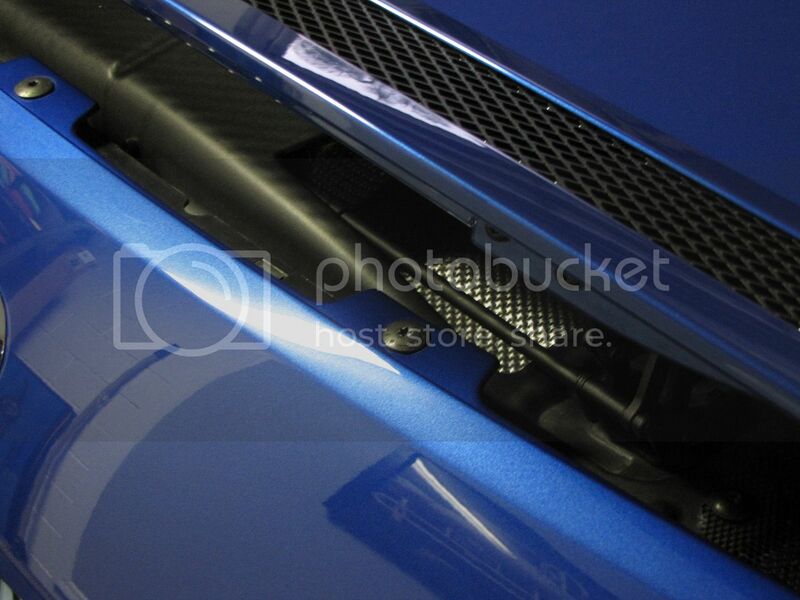 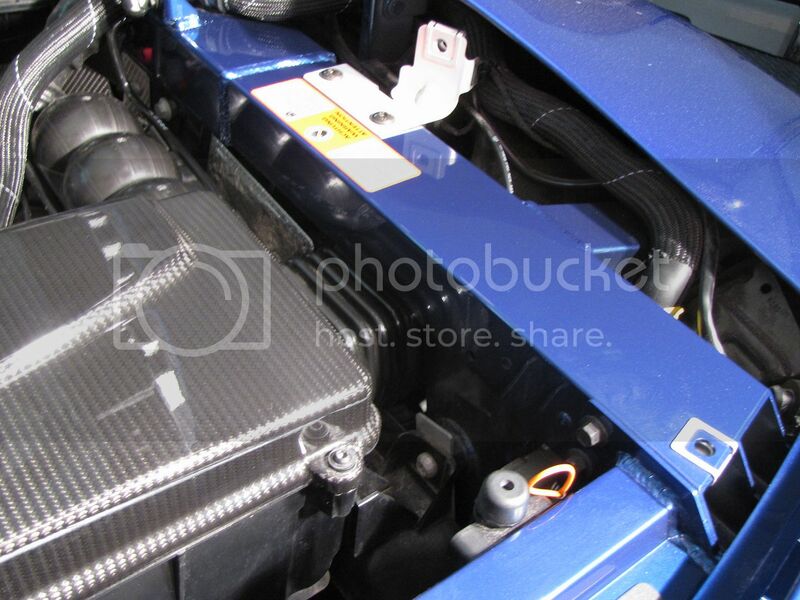 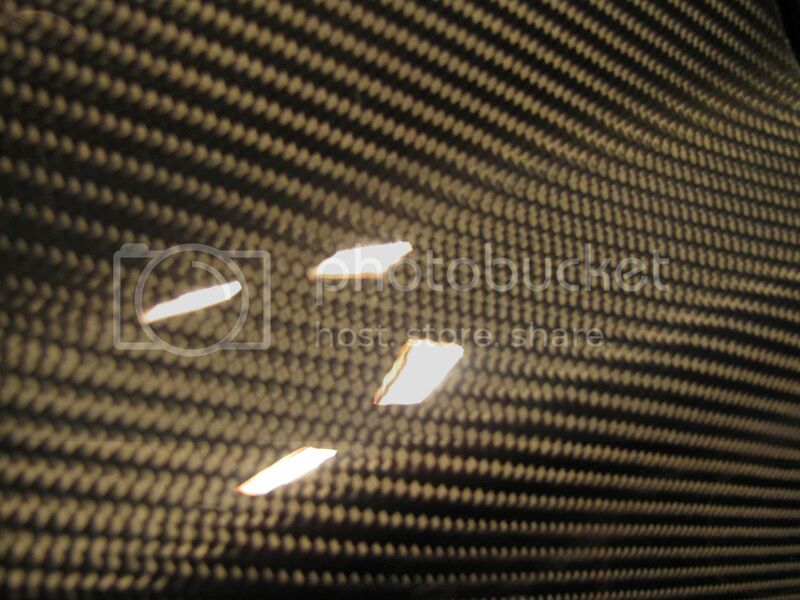 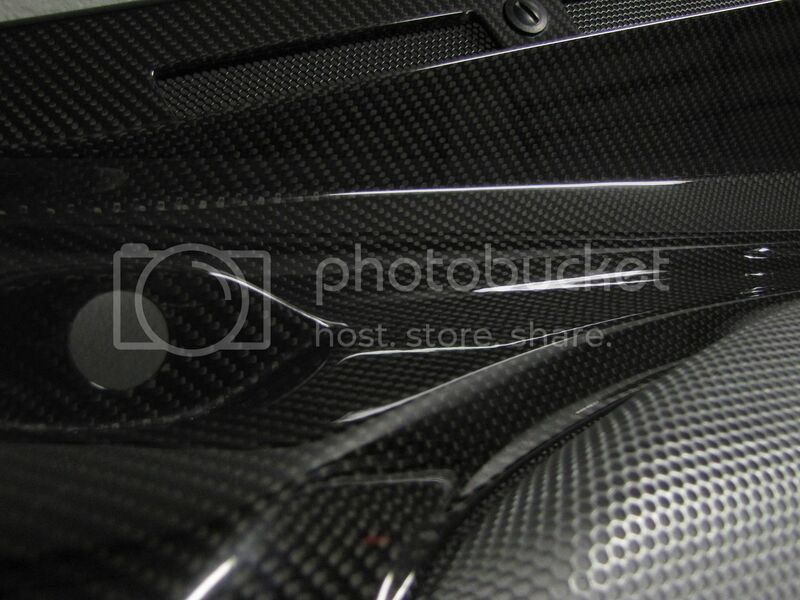 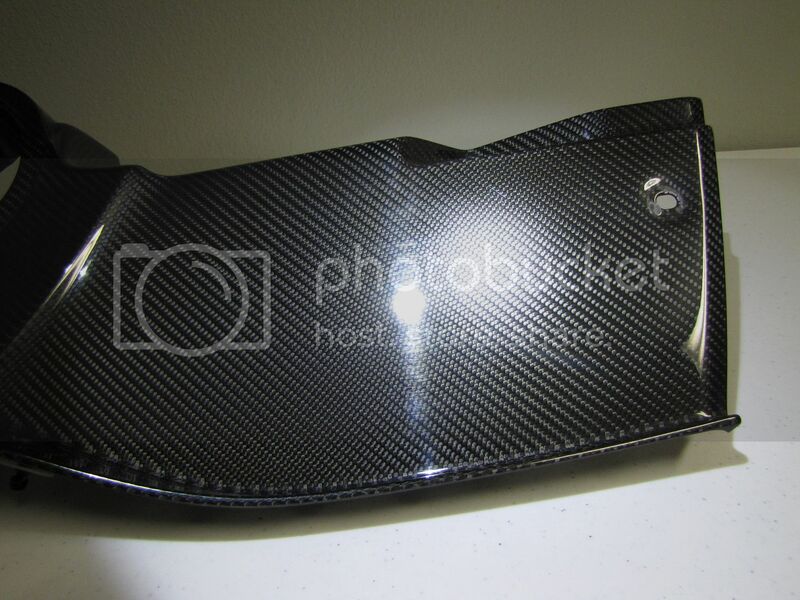 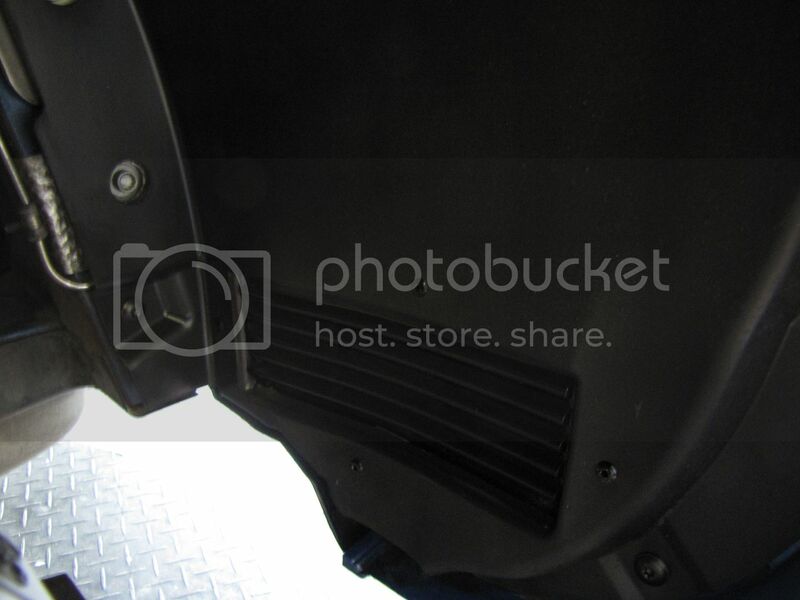 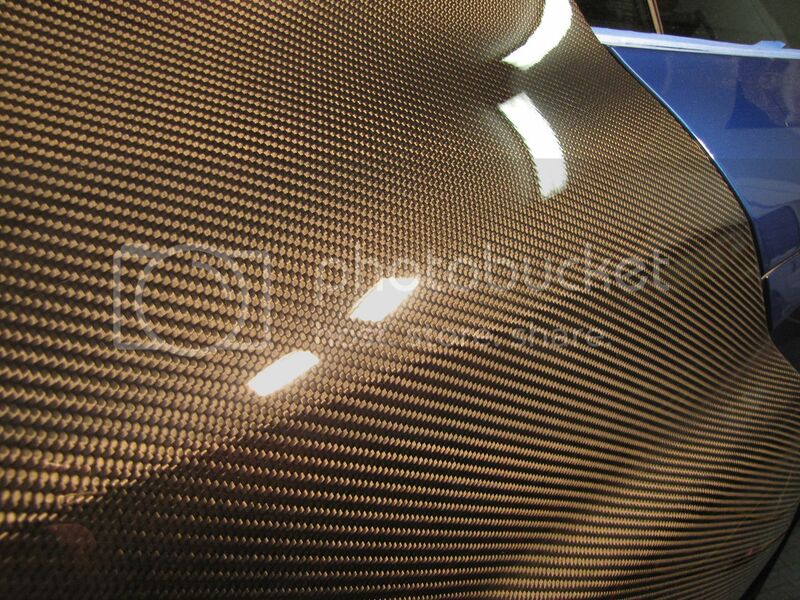 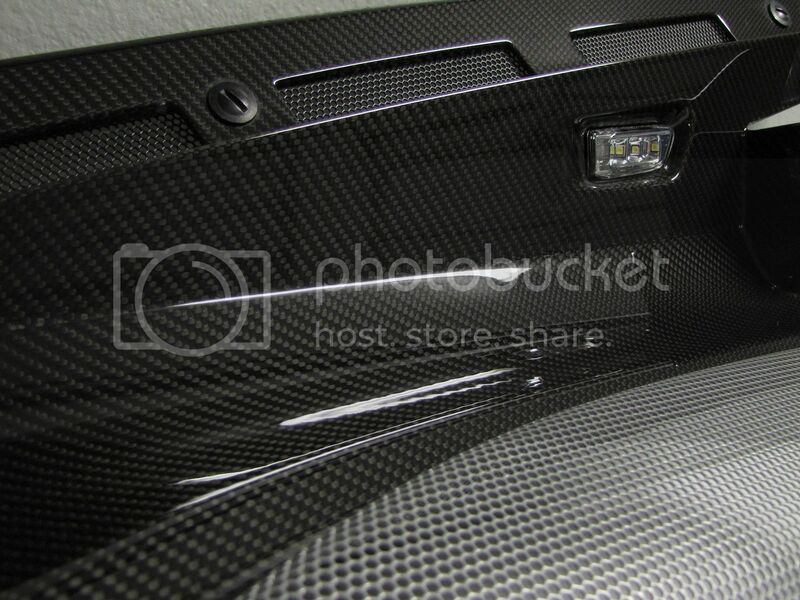 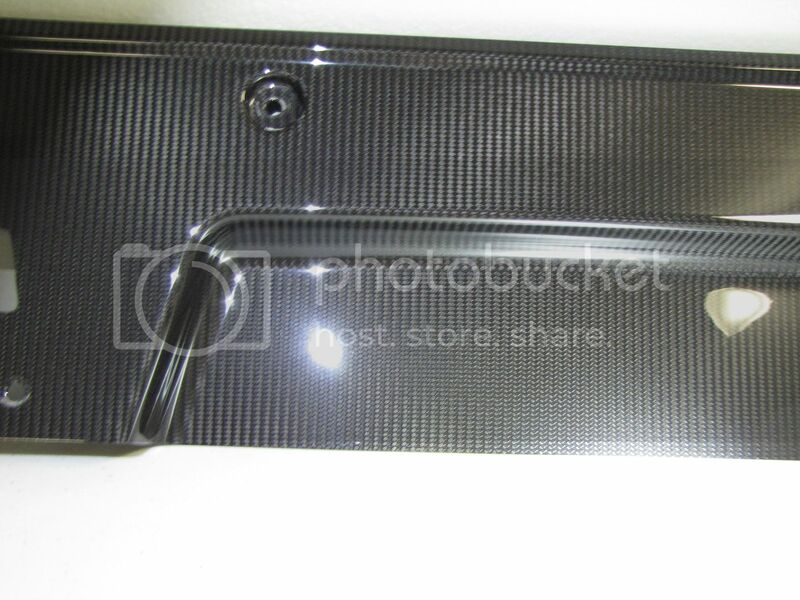 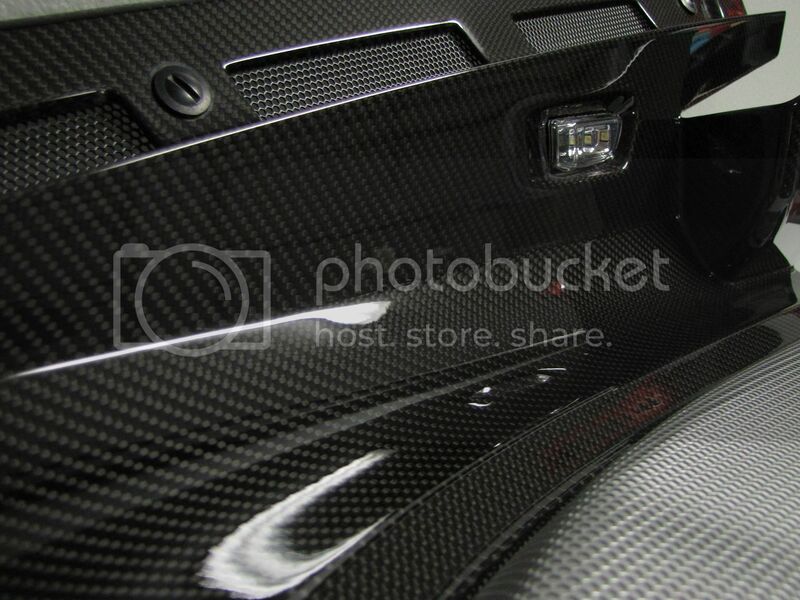 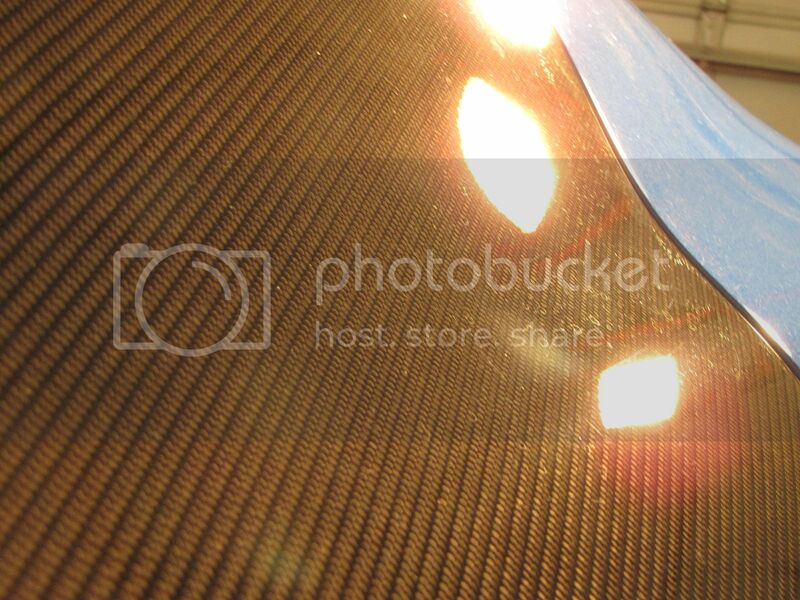 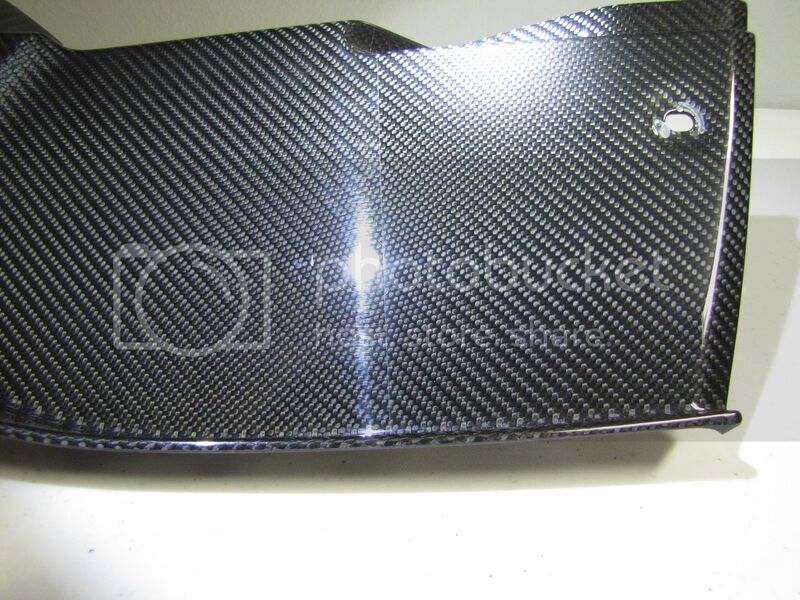 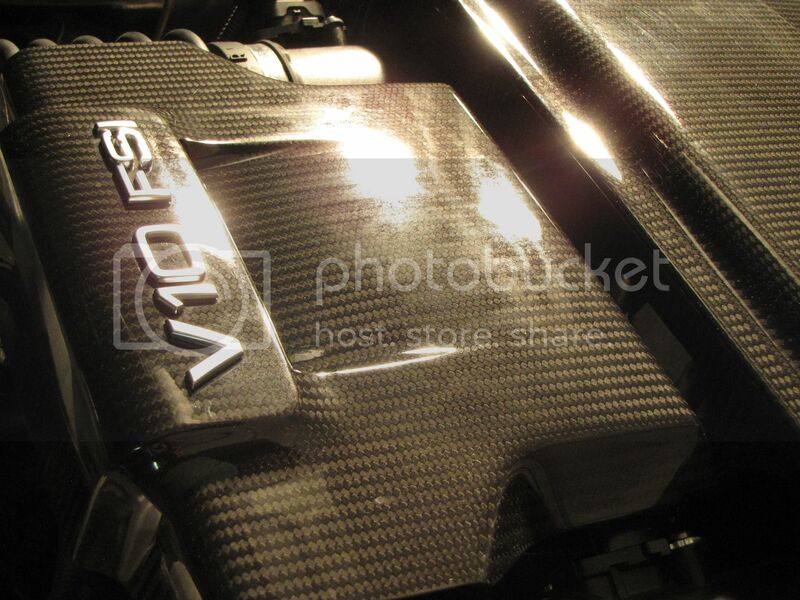 Carbon fiber engine compartment trim pieces. 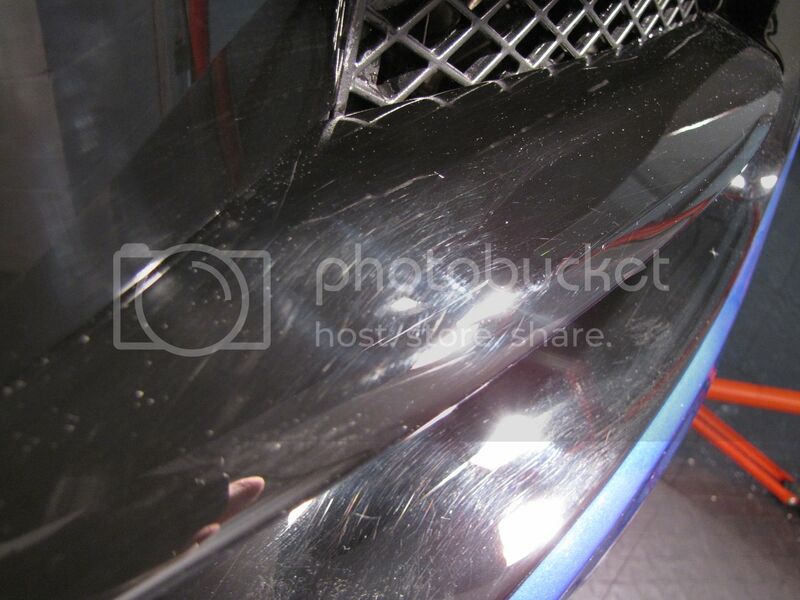 Remember the deep scratch I mentioned earlier? 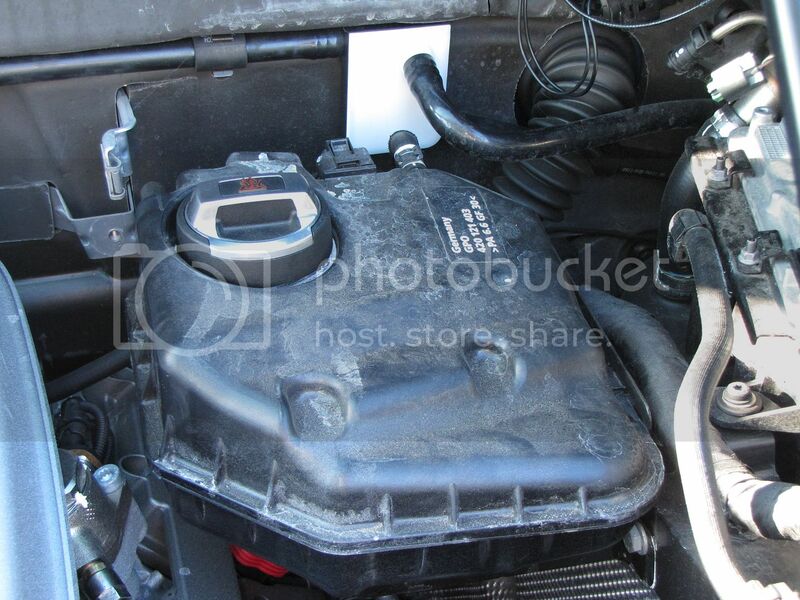 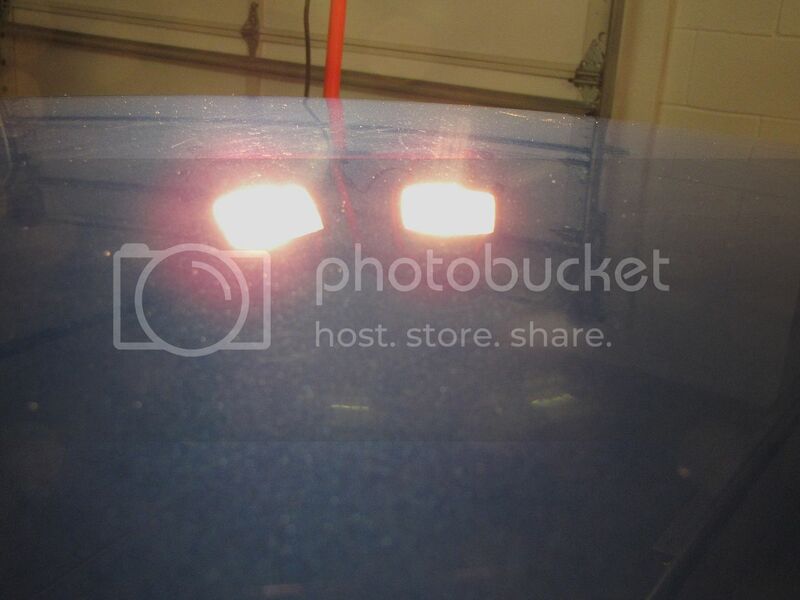 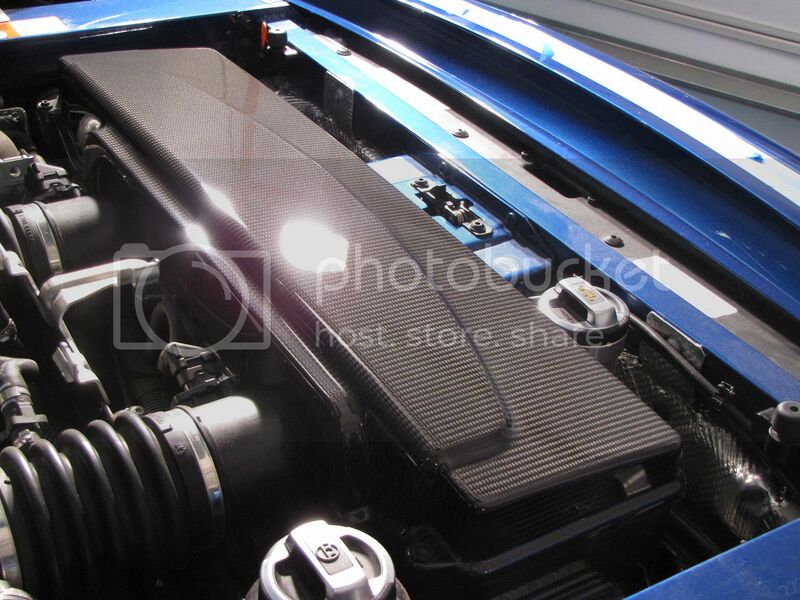 At this time I cleaned up the rest of the engine compartment. 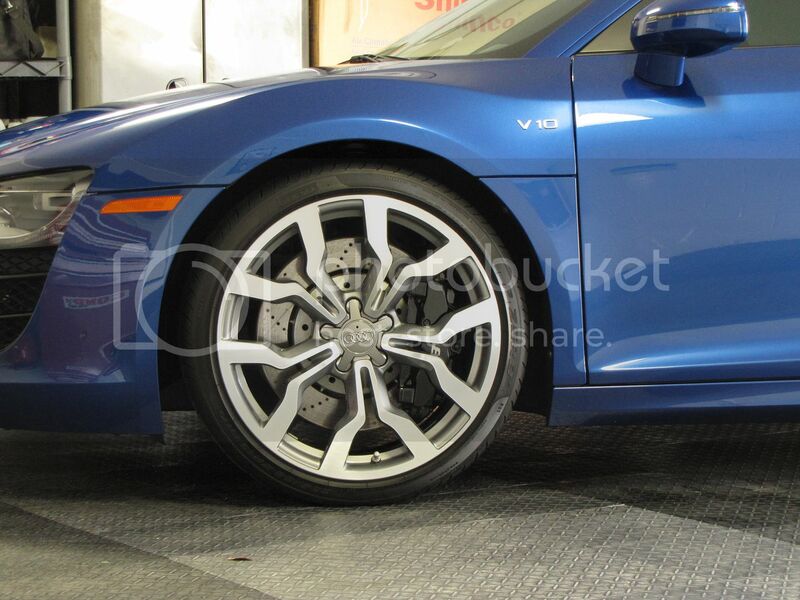 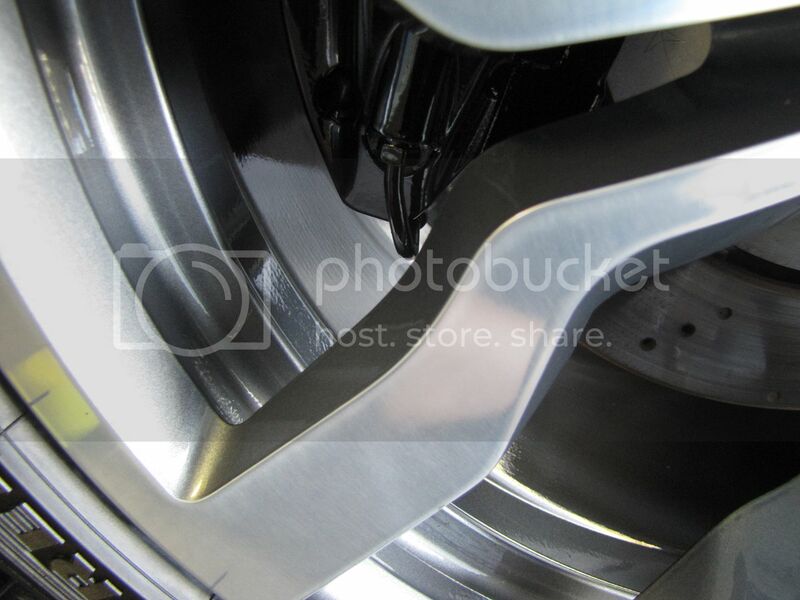 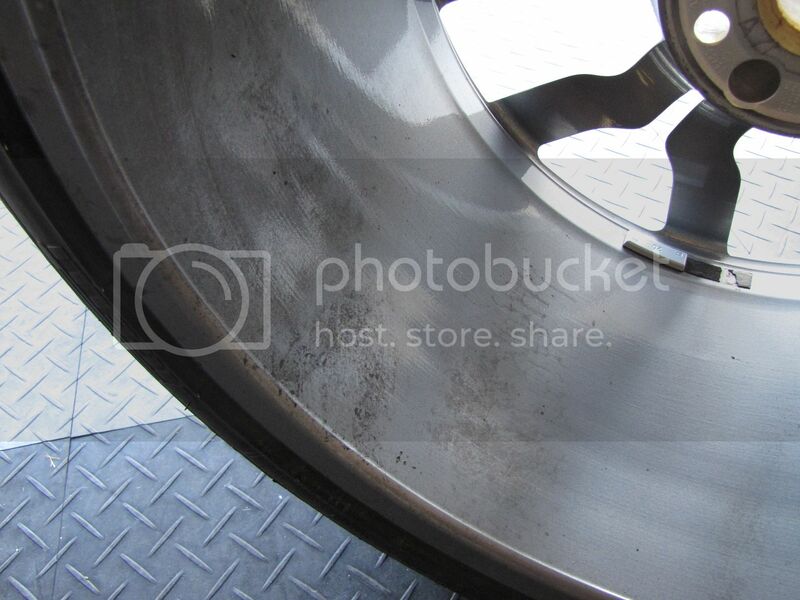 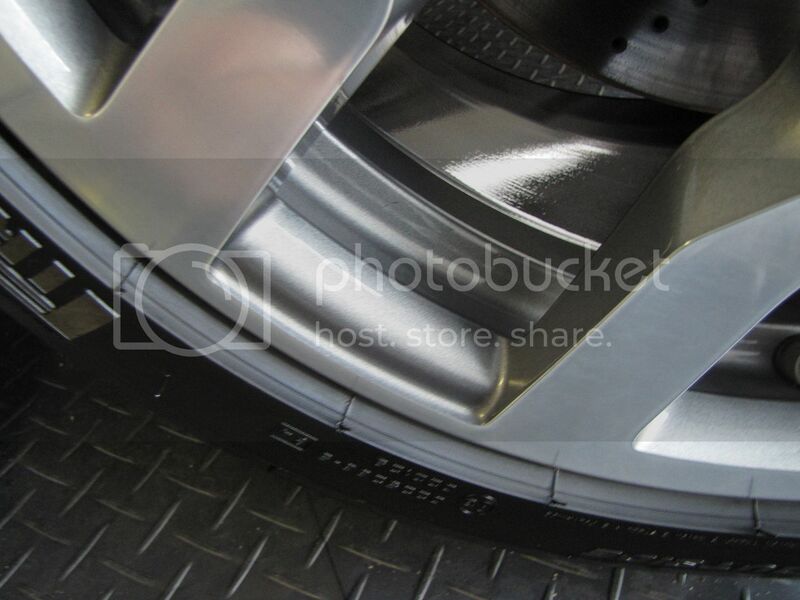 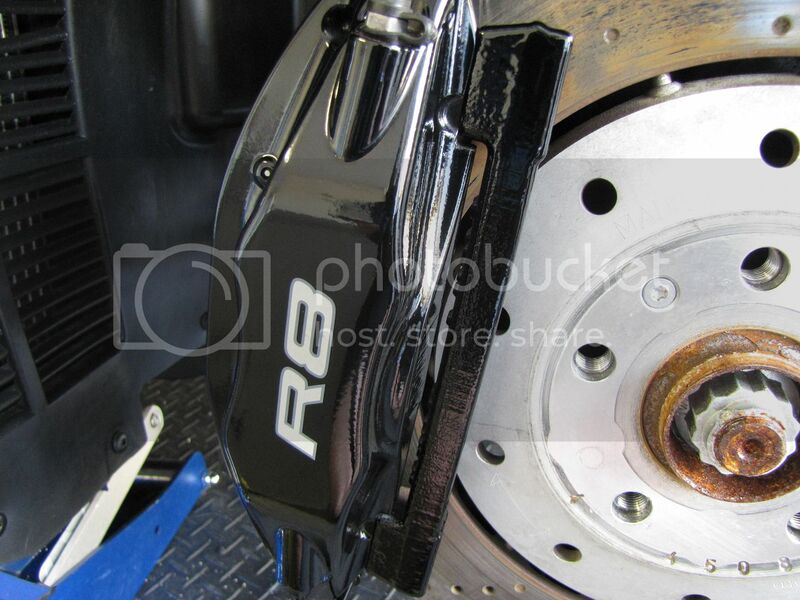 Now that all of the correction was carried out it was time to move onto the wheels, calipers and wheel wells. 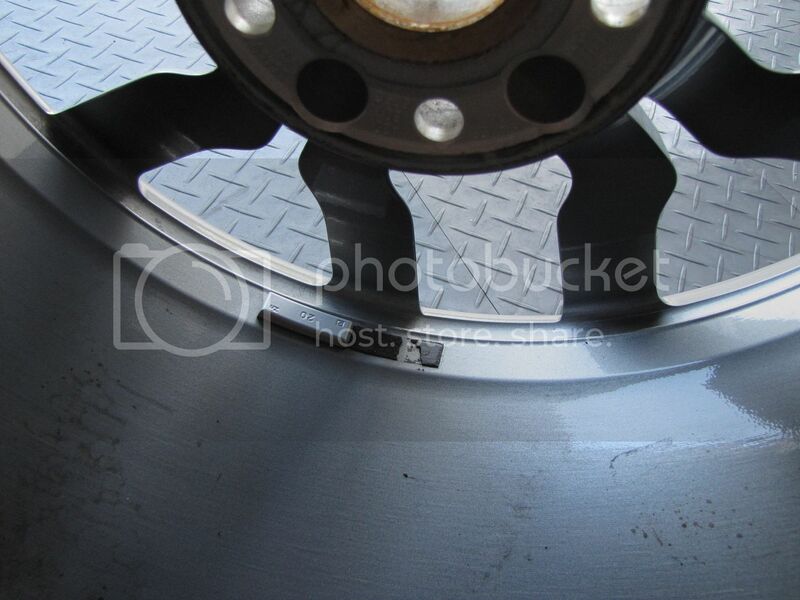 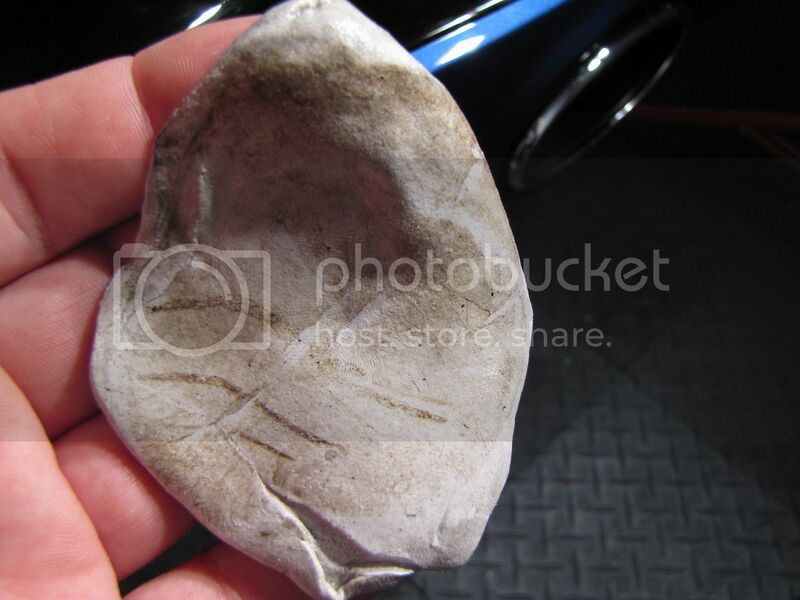 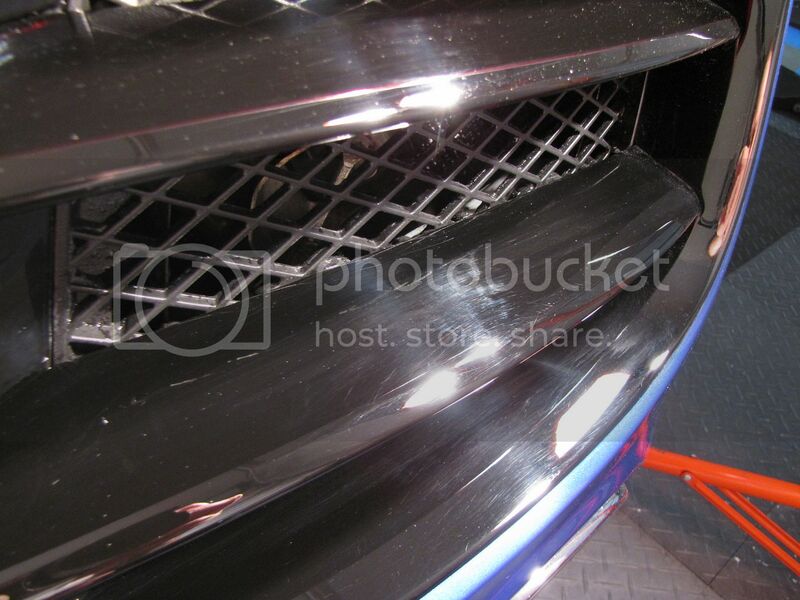 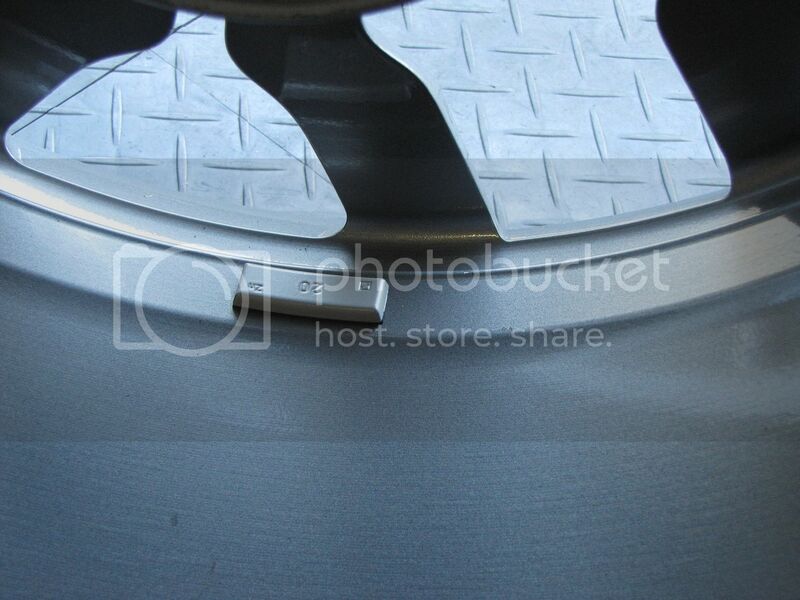 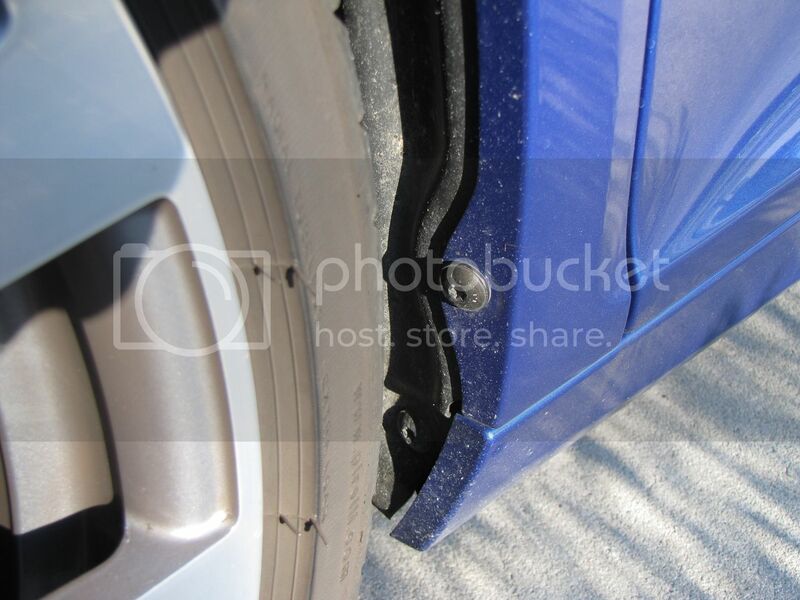 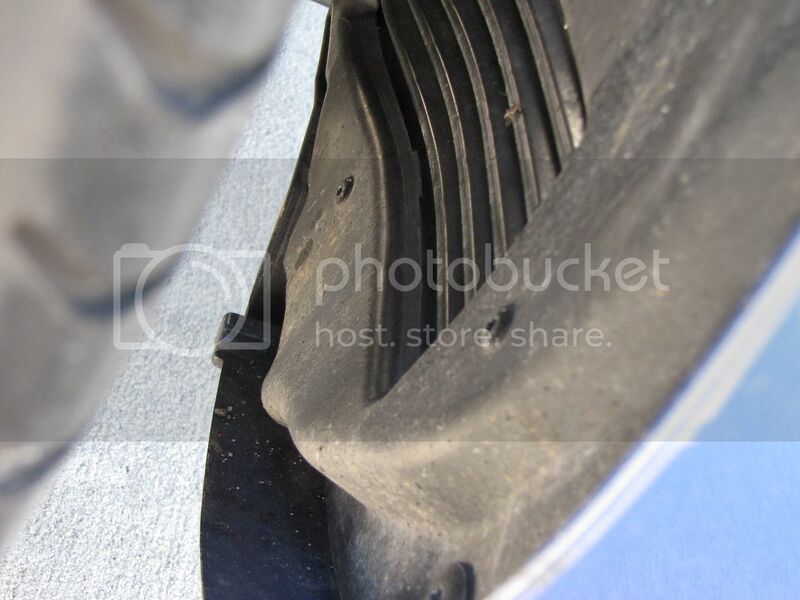 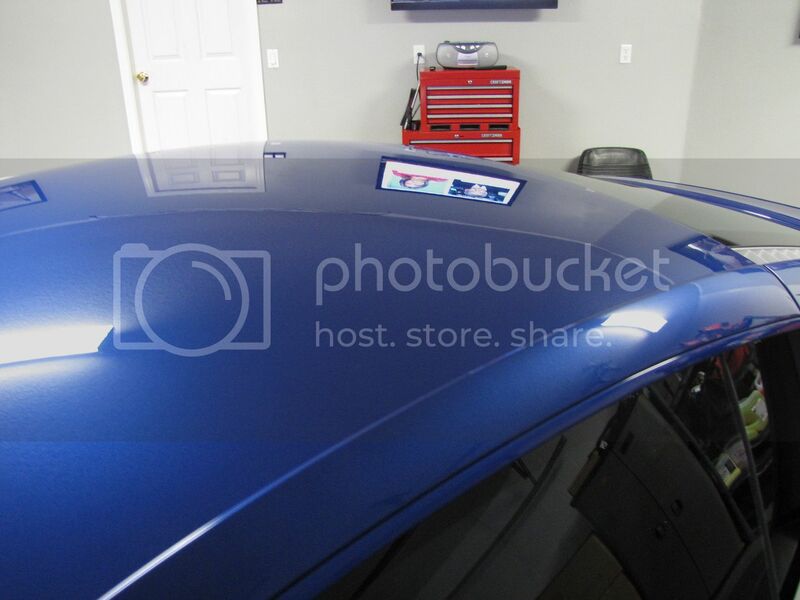 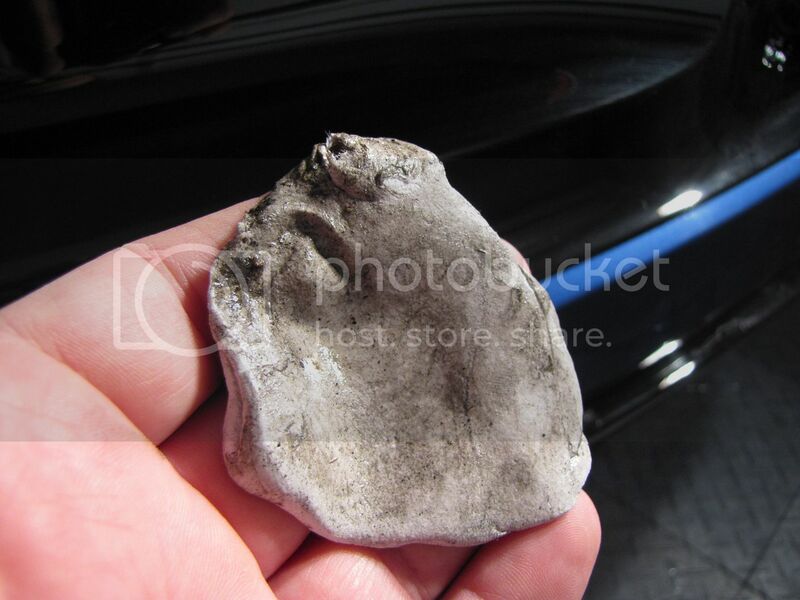 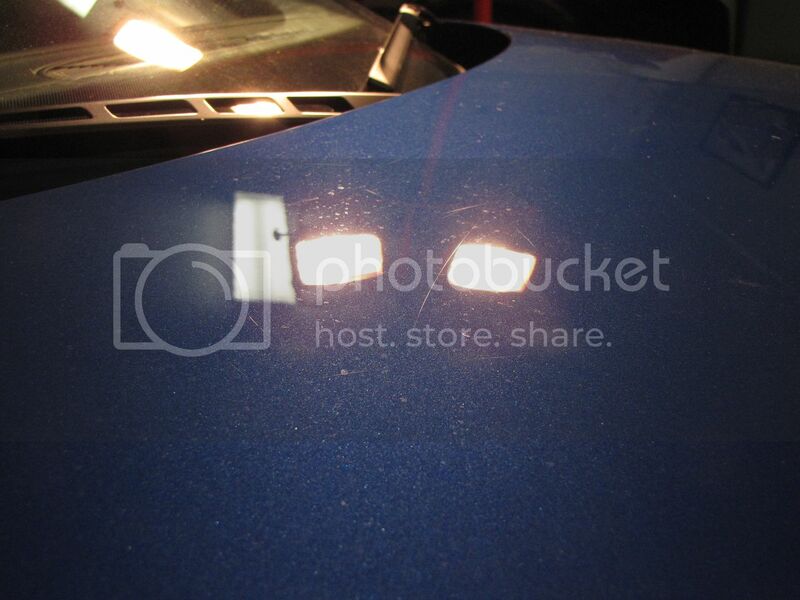 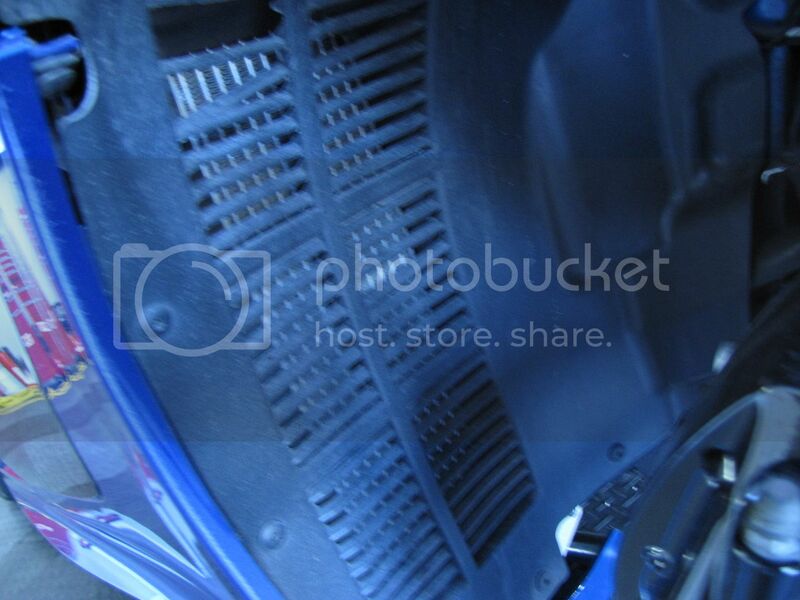 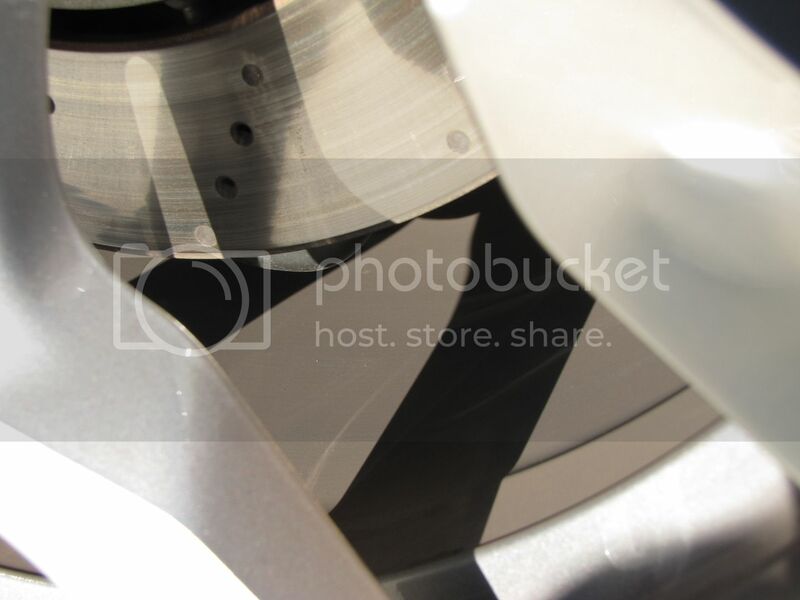 Since the car had been tracked the liners were trashed and some of the fins were damaged from track debris at 160 MPH.